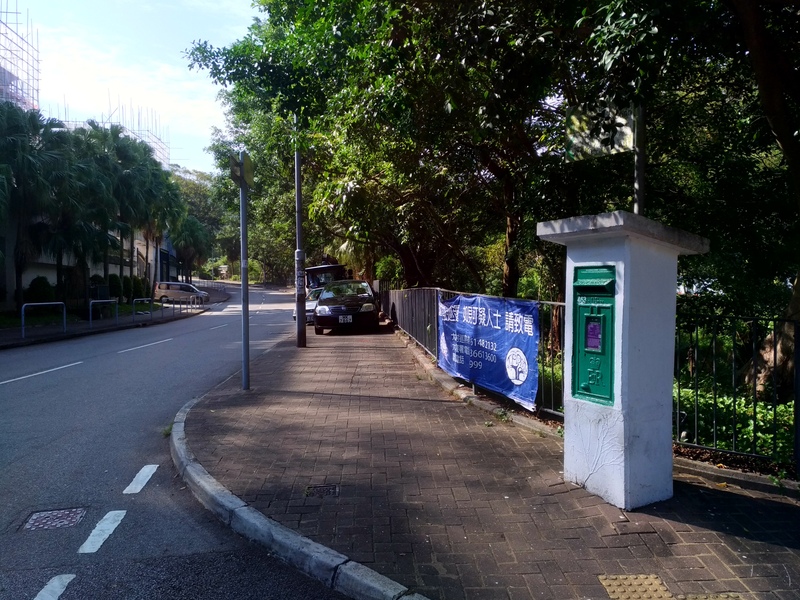 高身入牆方型 | "組織搜索隊 , 到可能地區 , 作徹底搜尋。" 高身入牆方型 – "組織搜索隊 , 到可能地區 , 作徹底搜尋。"
Good News@20/6/2011: Broken part fixed. 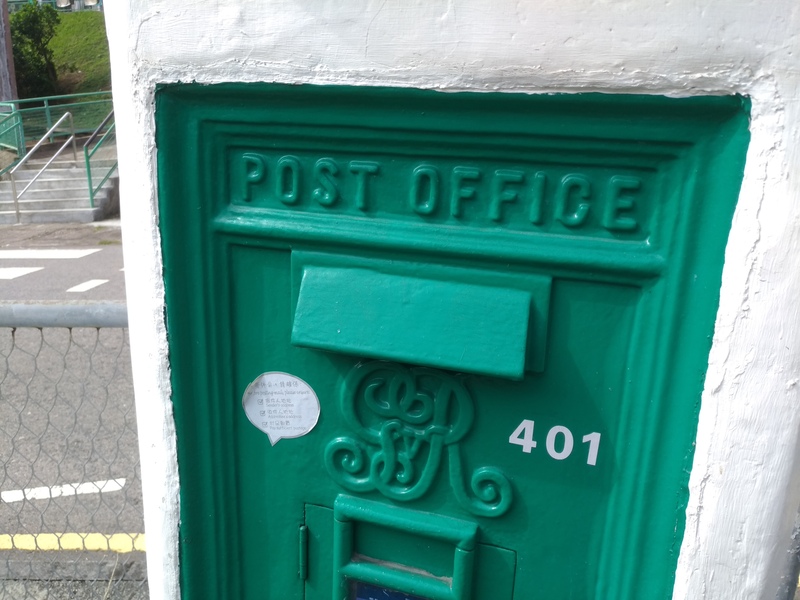 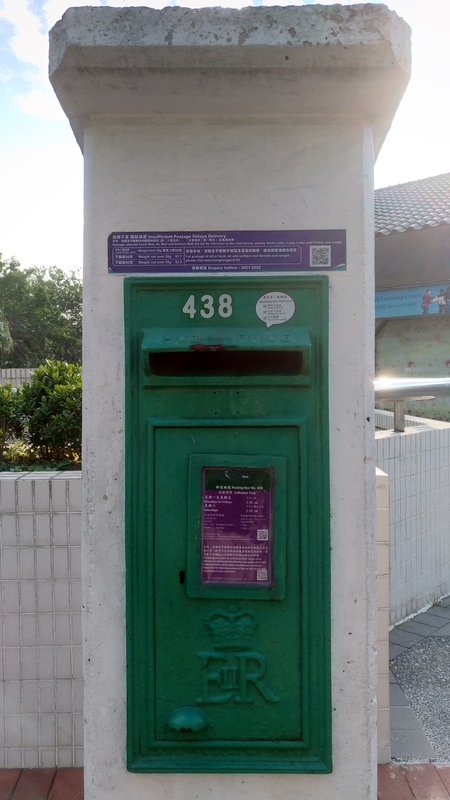 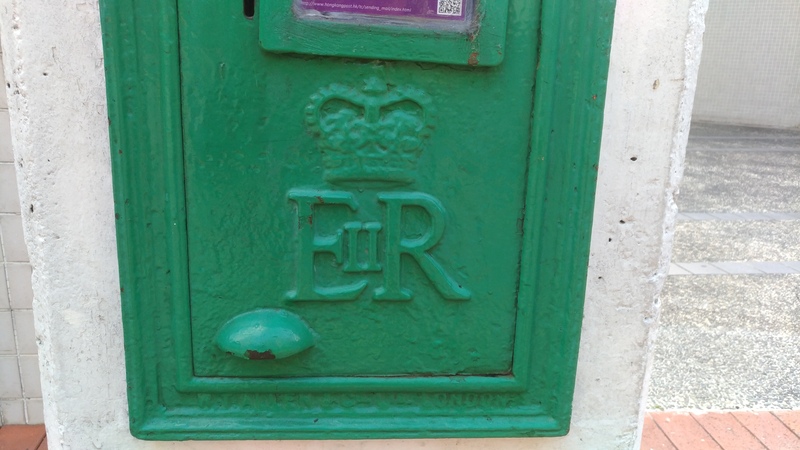 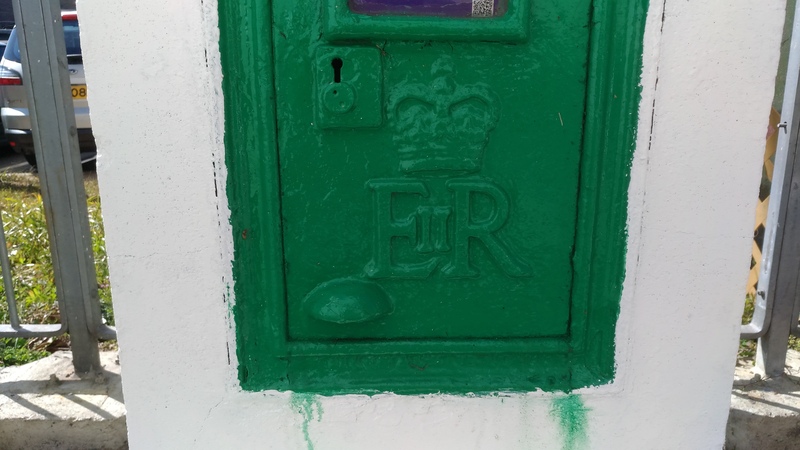 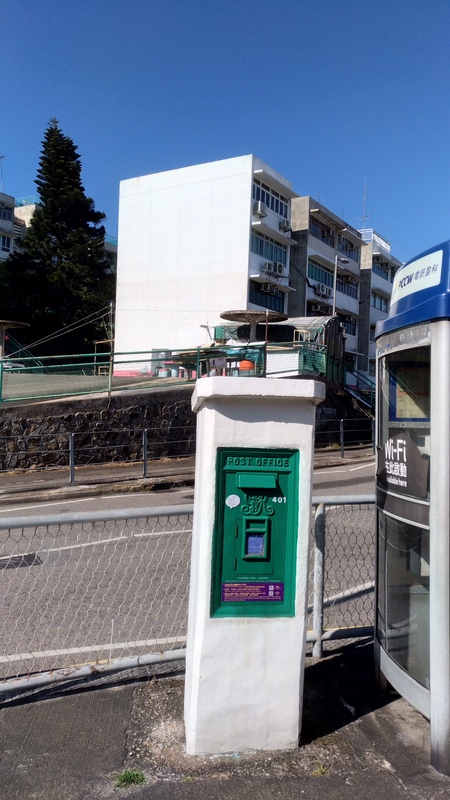 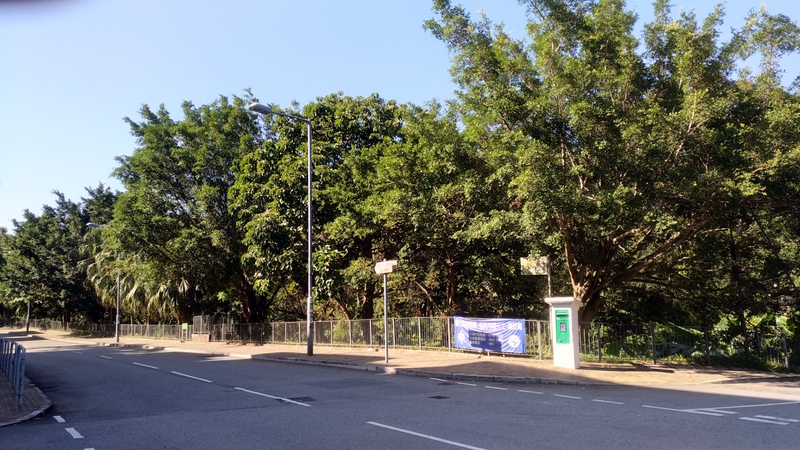 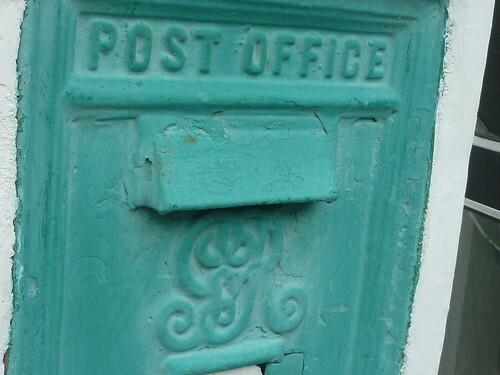 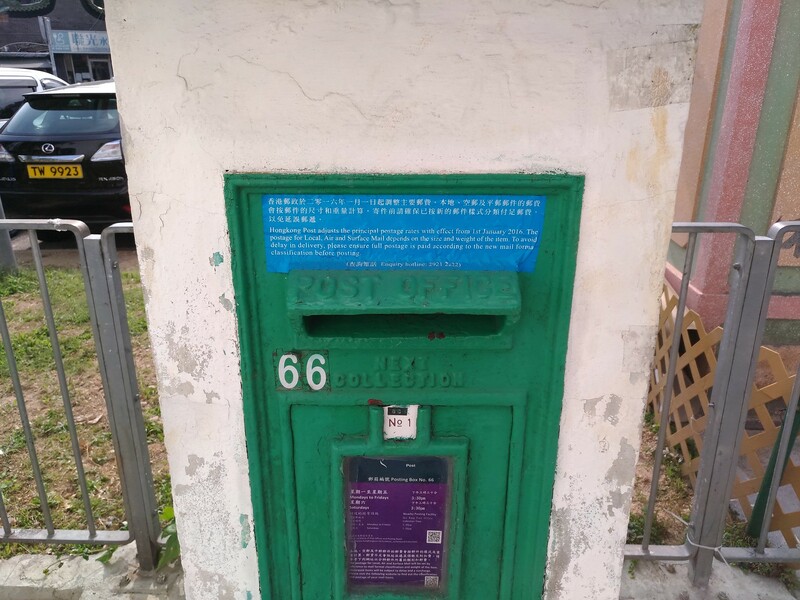 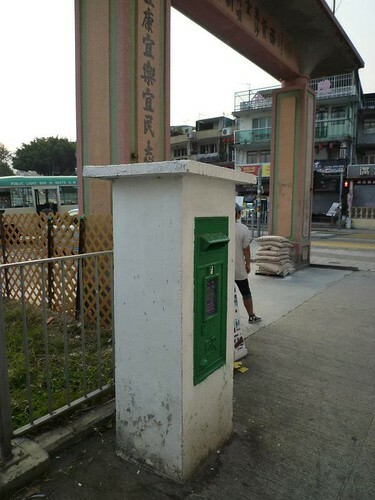 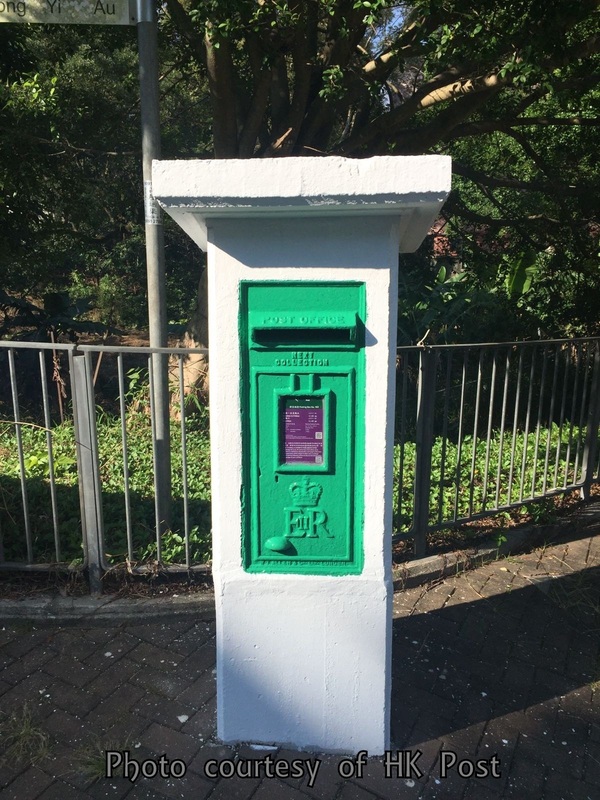 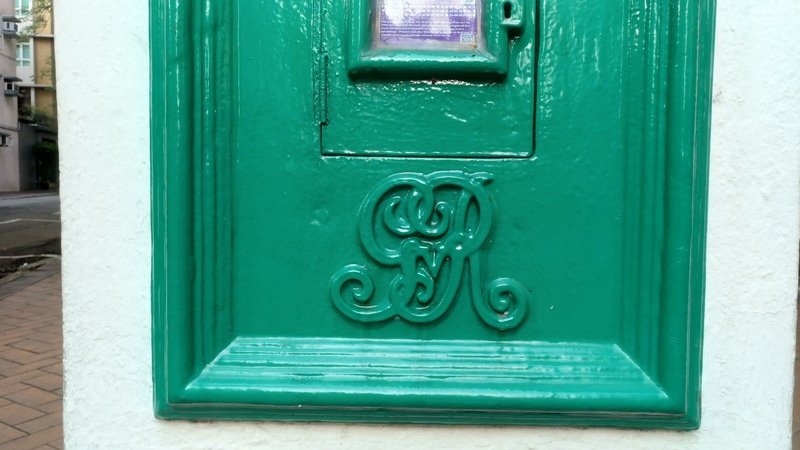 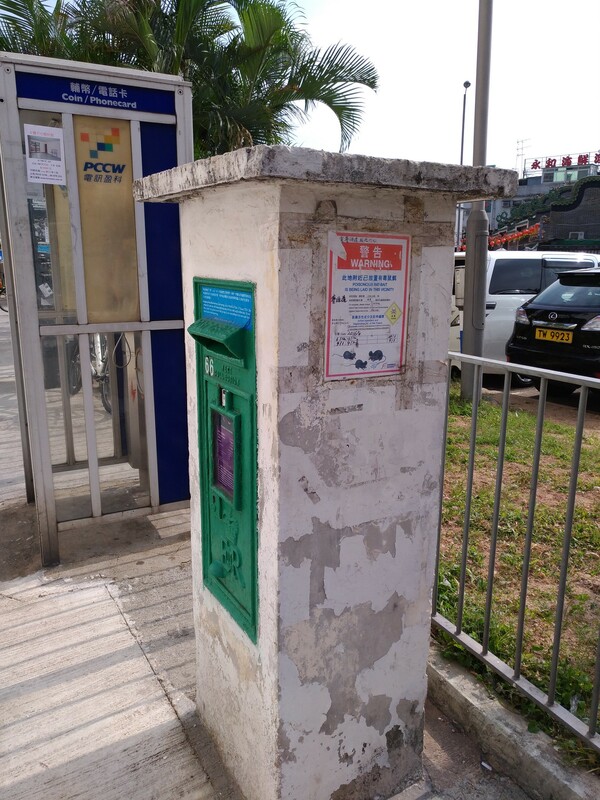 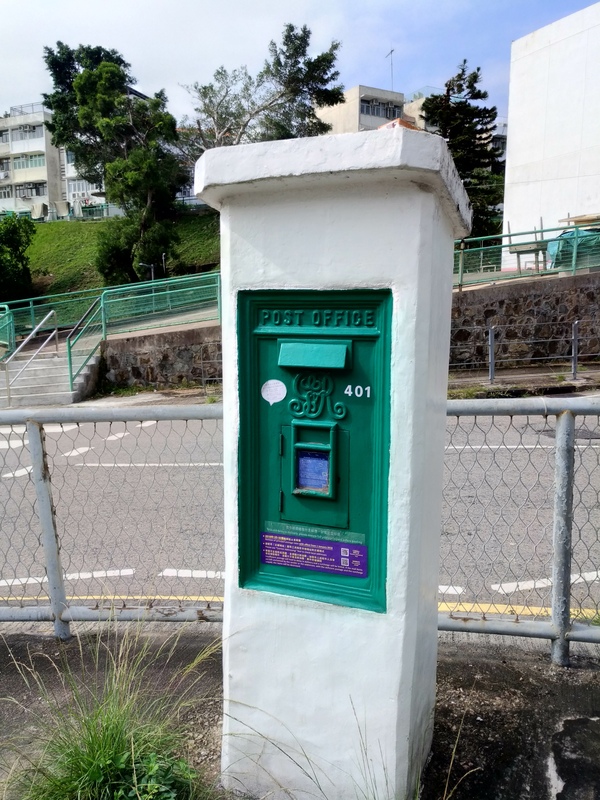 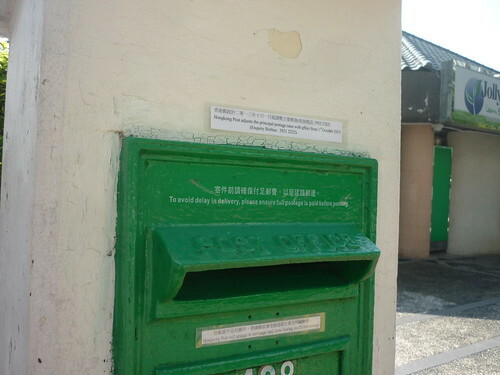 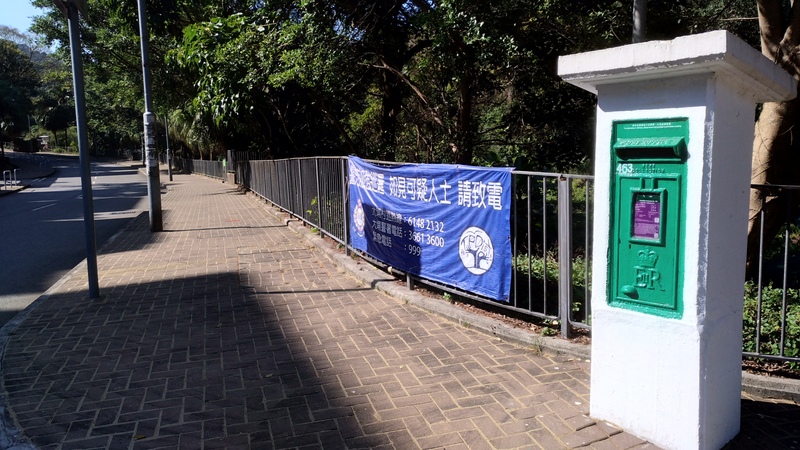 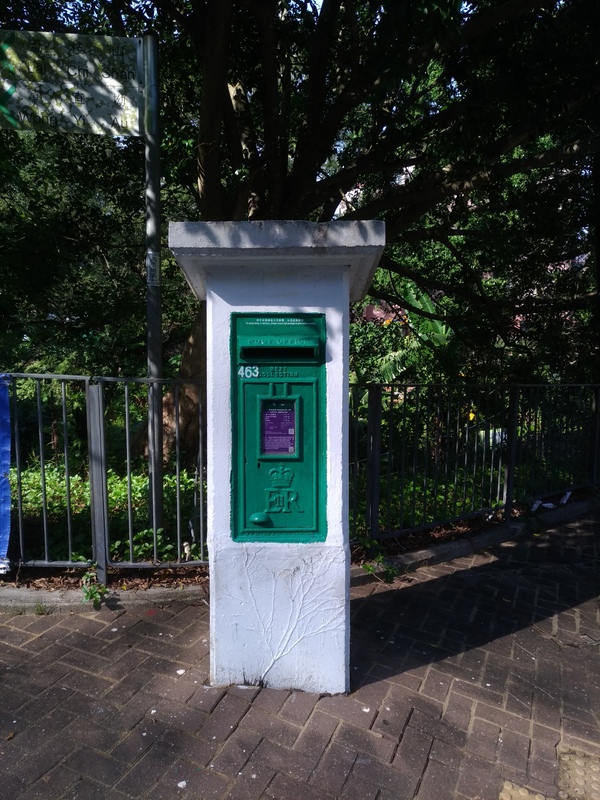 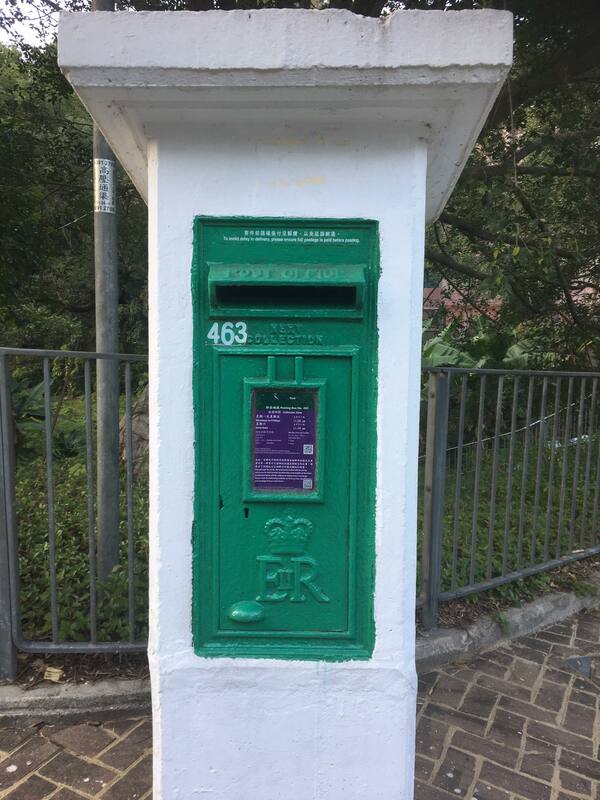 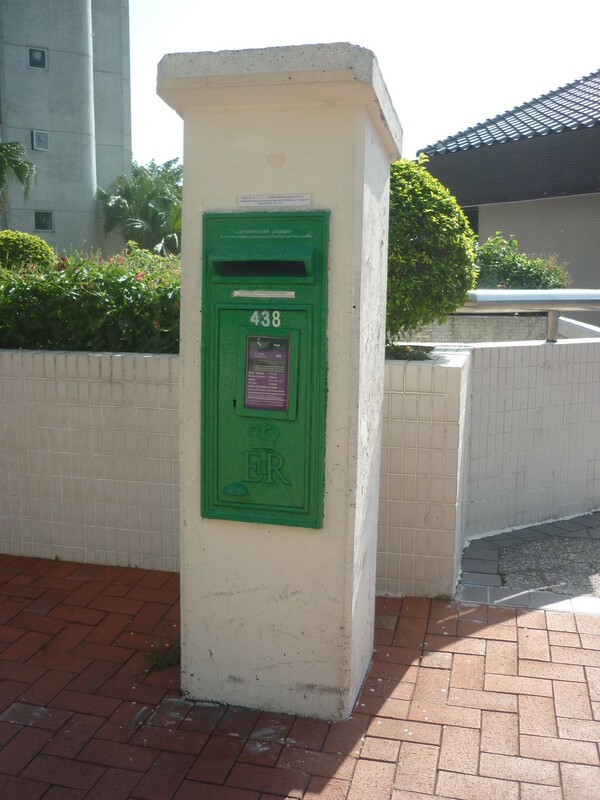 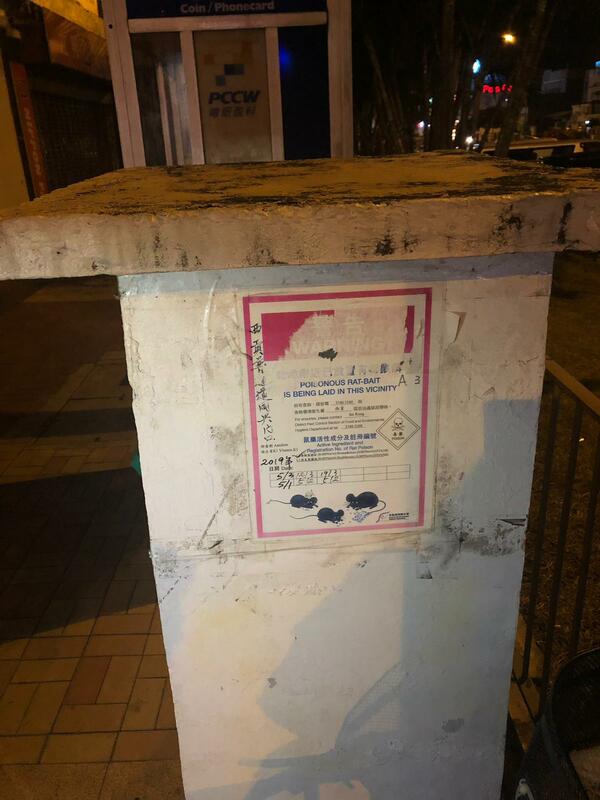 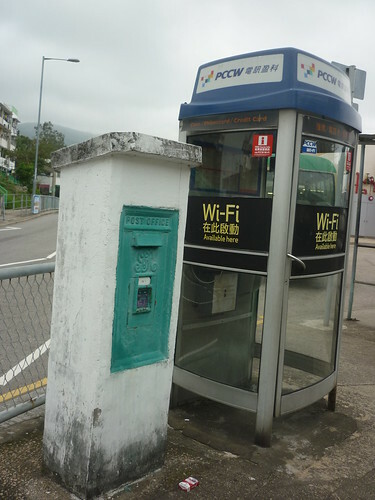 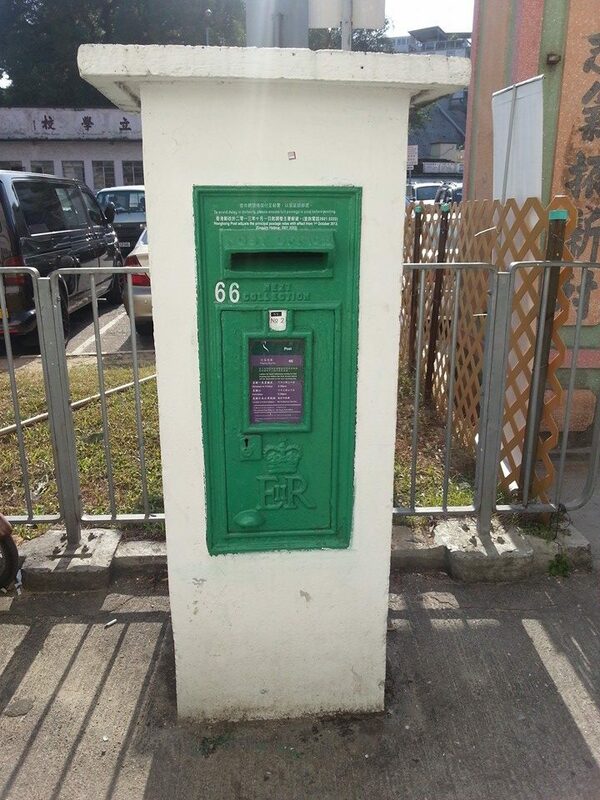 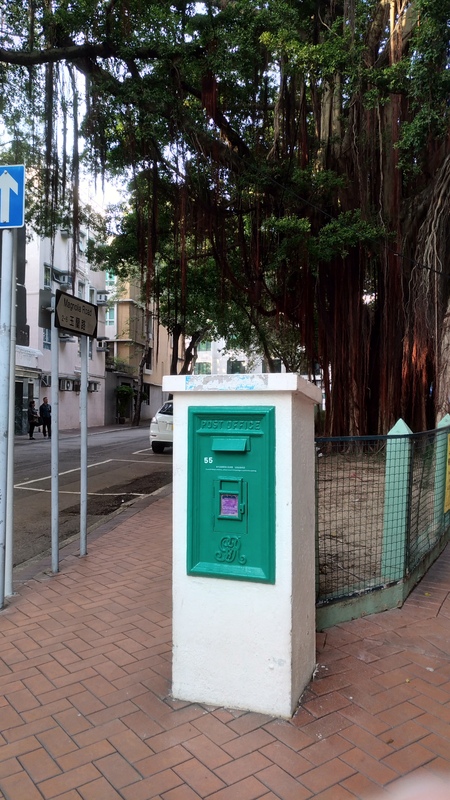 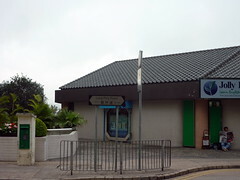 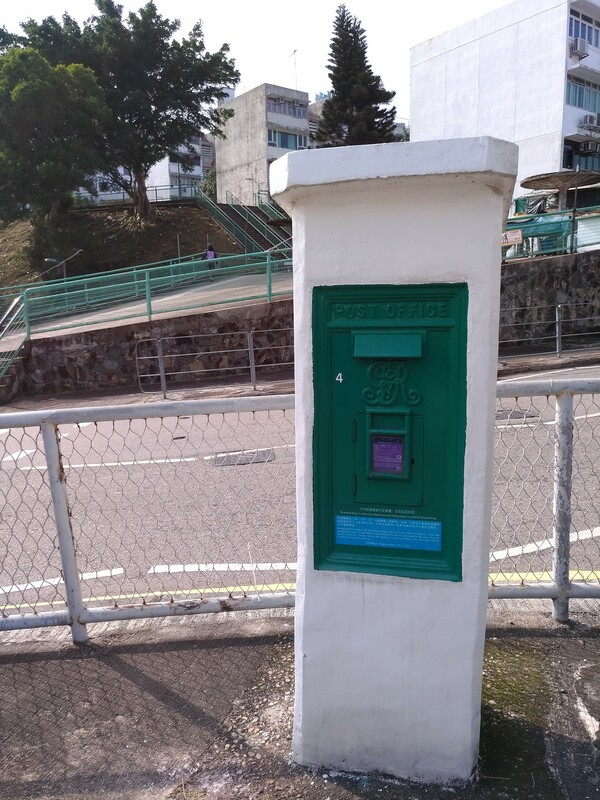 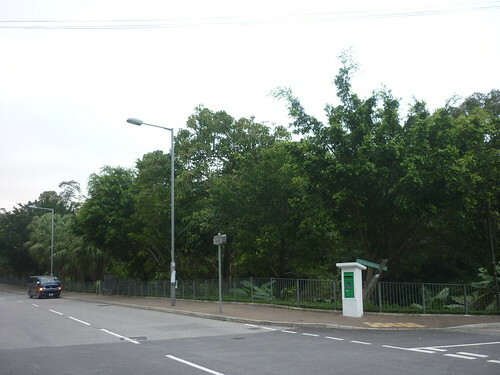 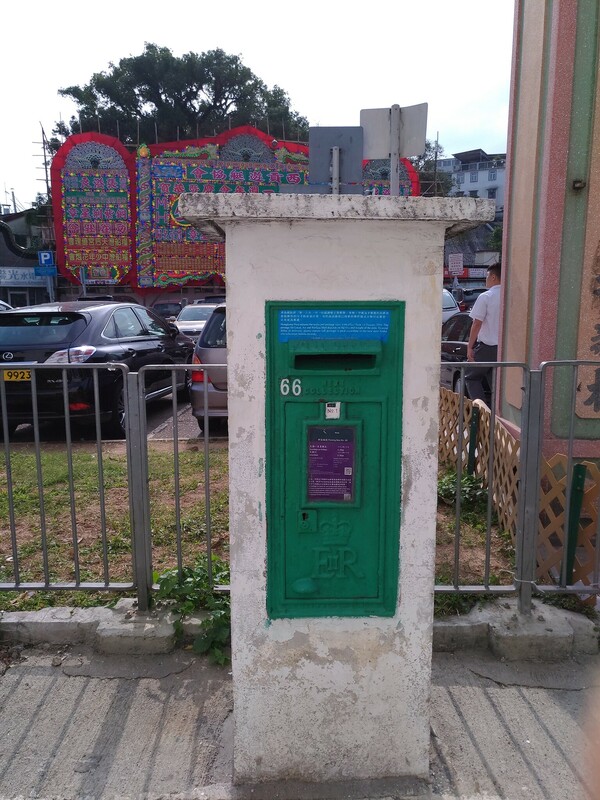 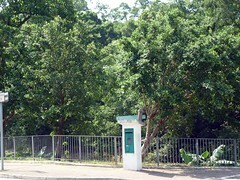 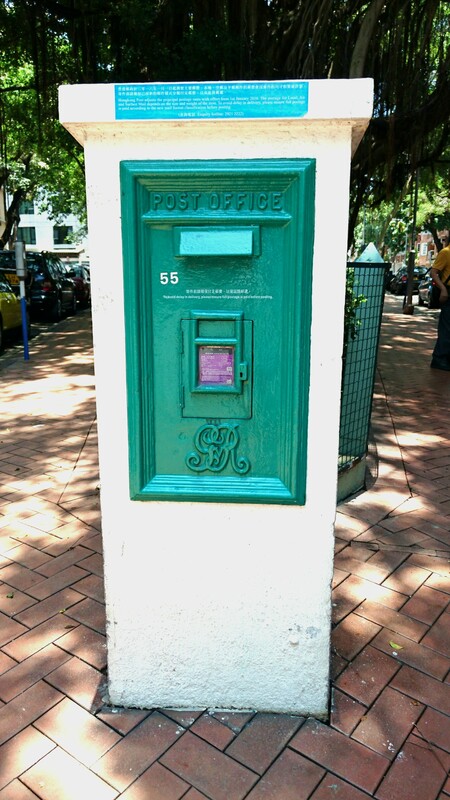 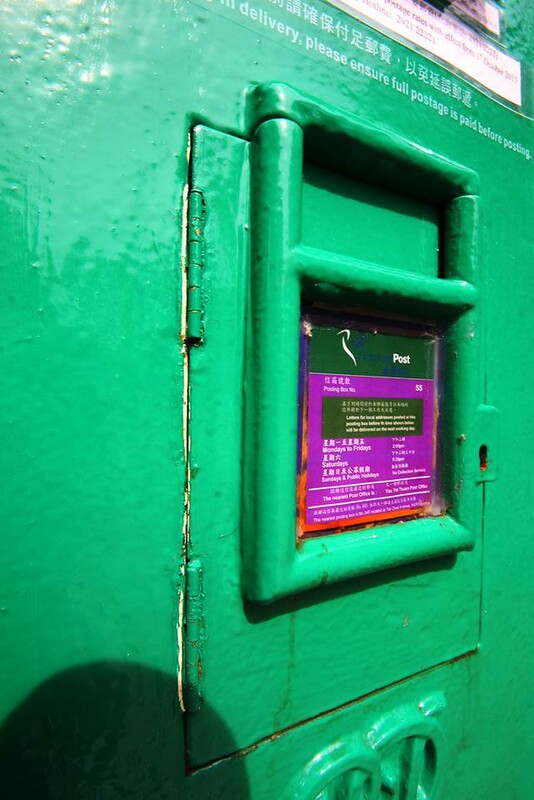 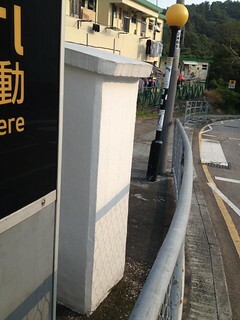 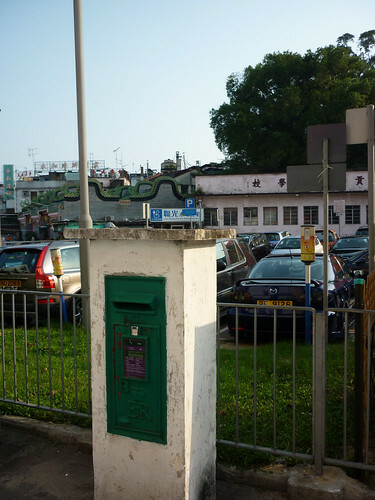 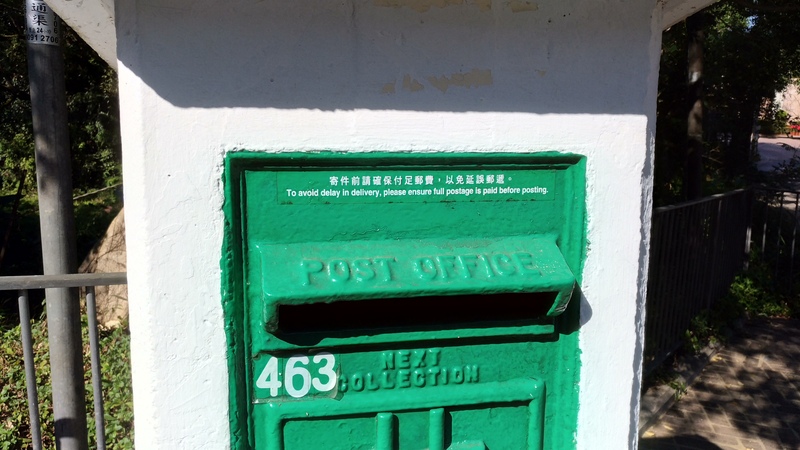 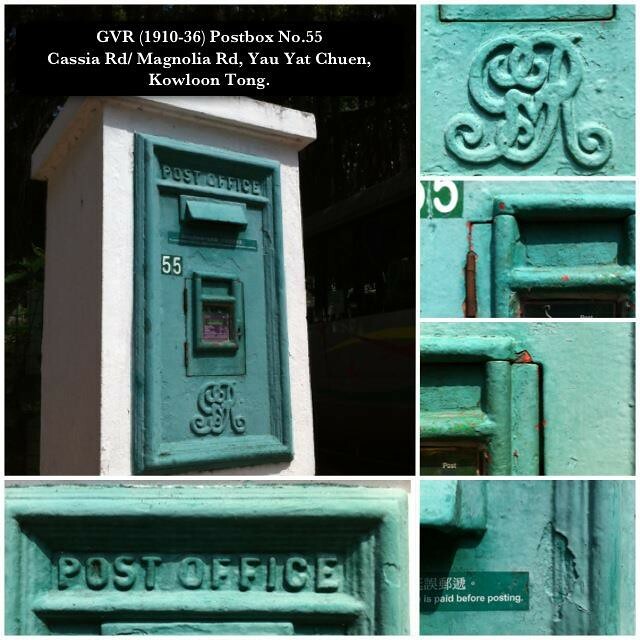 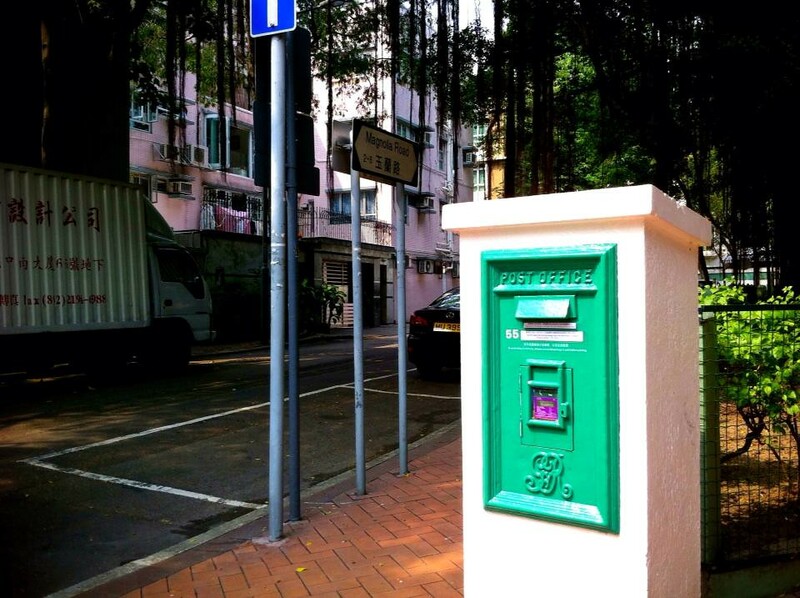 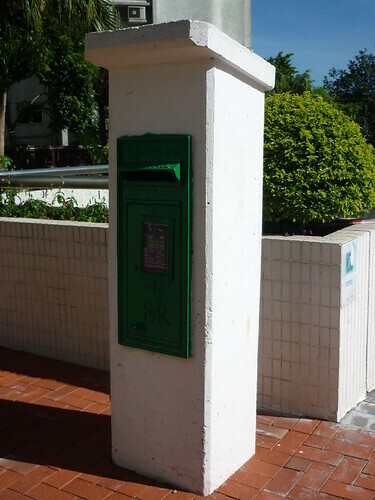 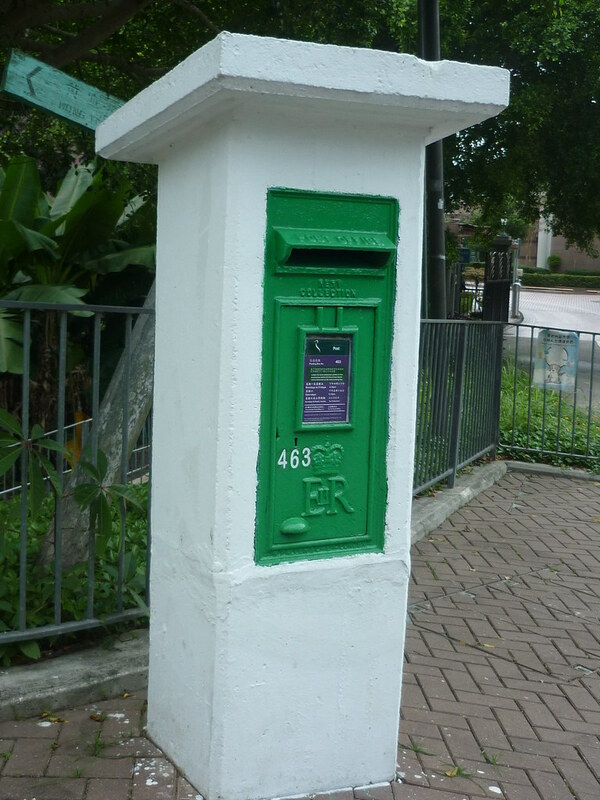 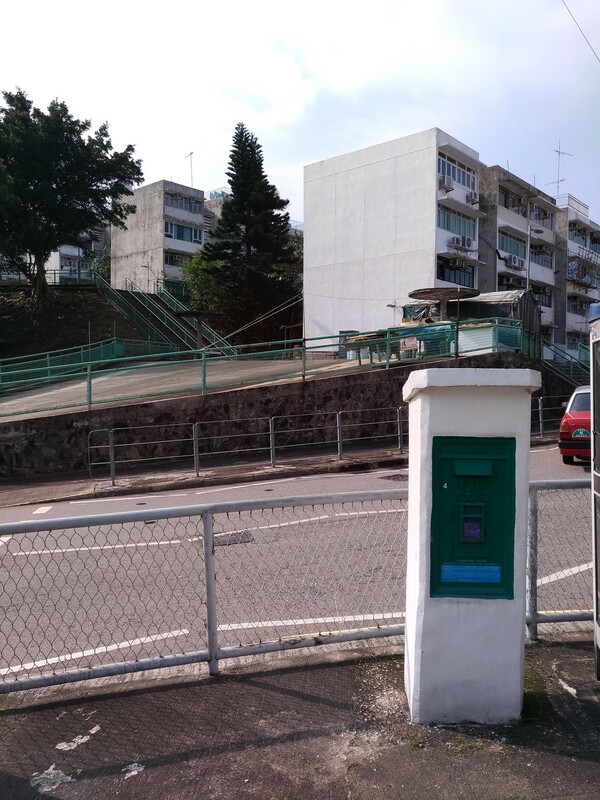 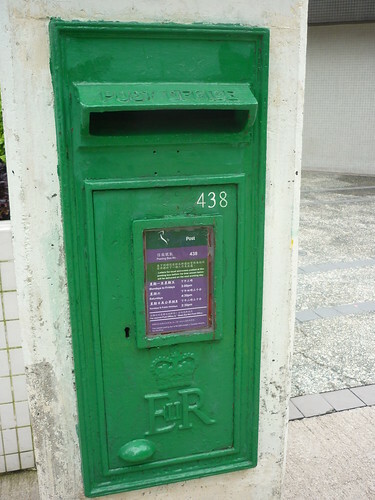 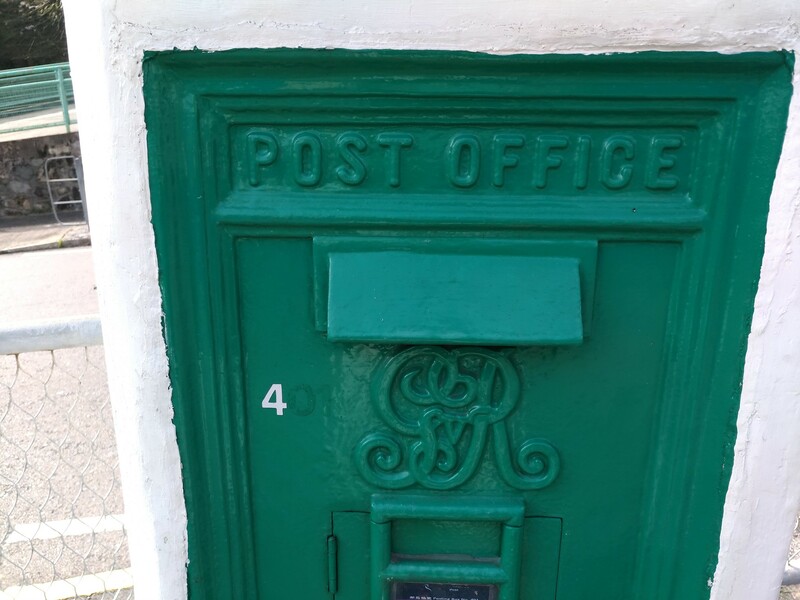 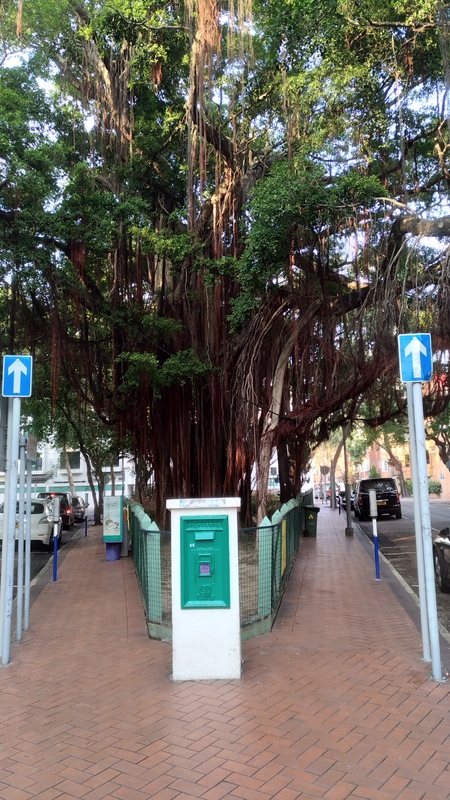 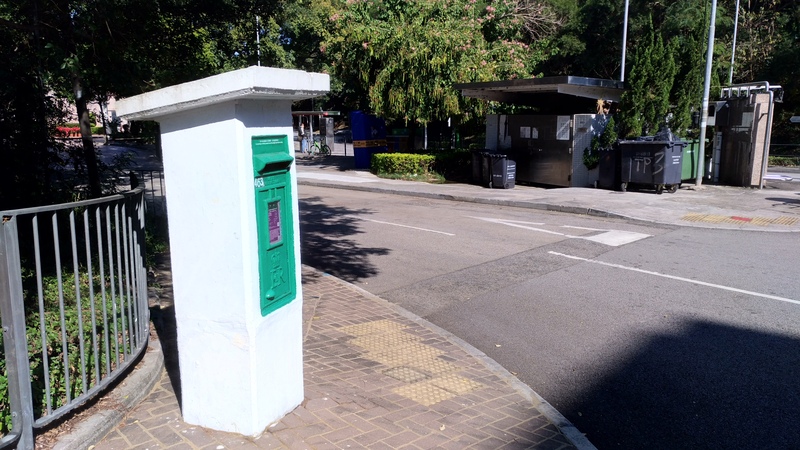 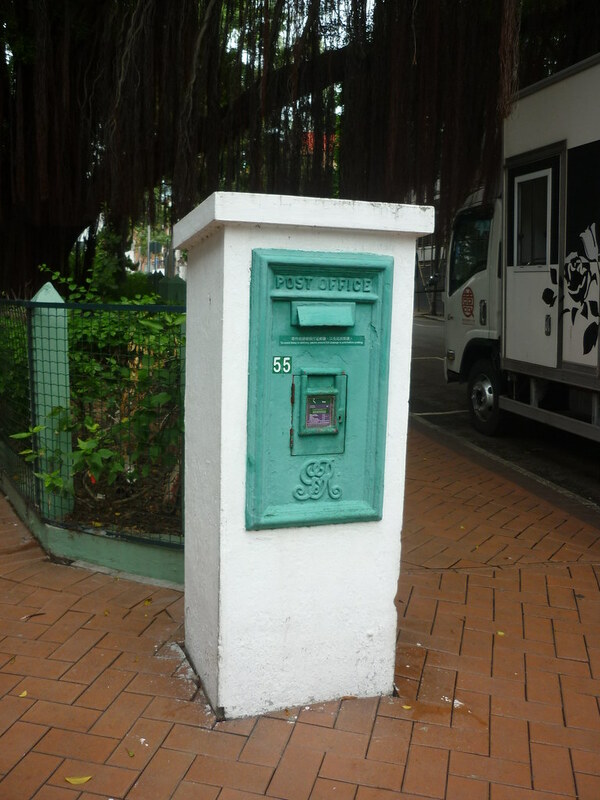 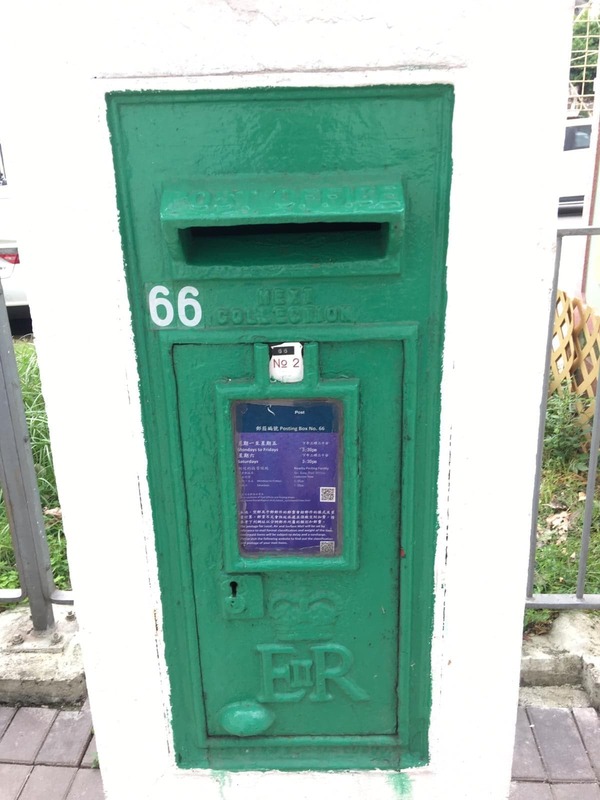 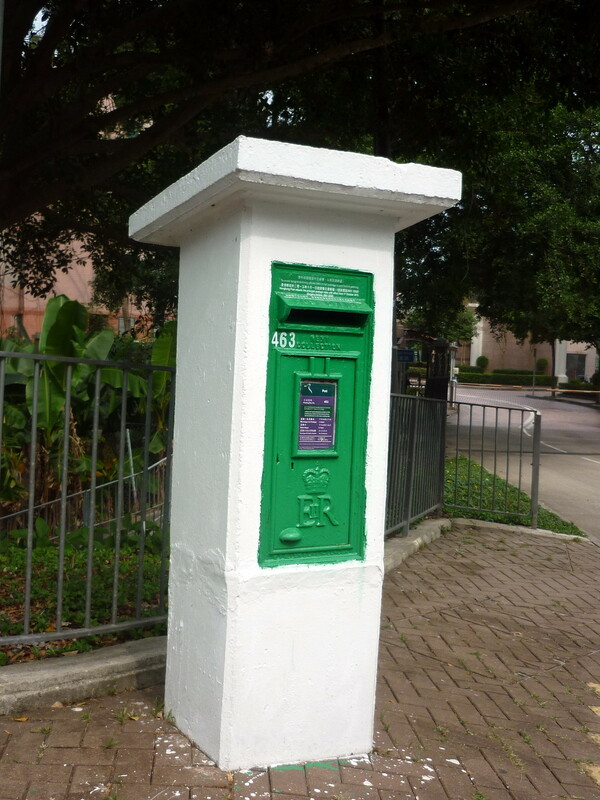 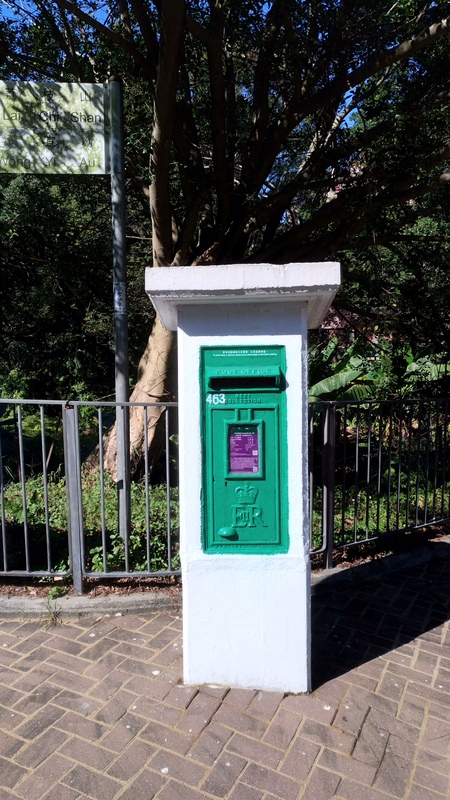 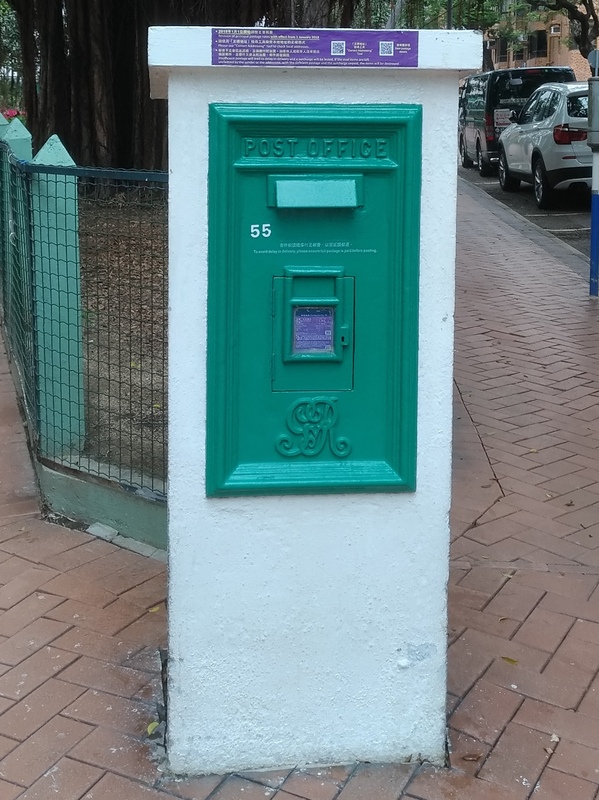 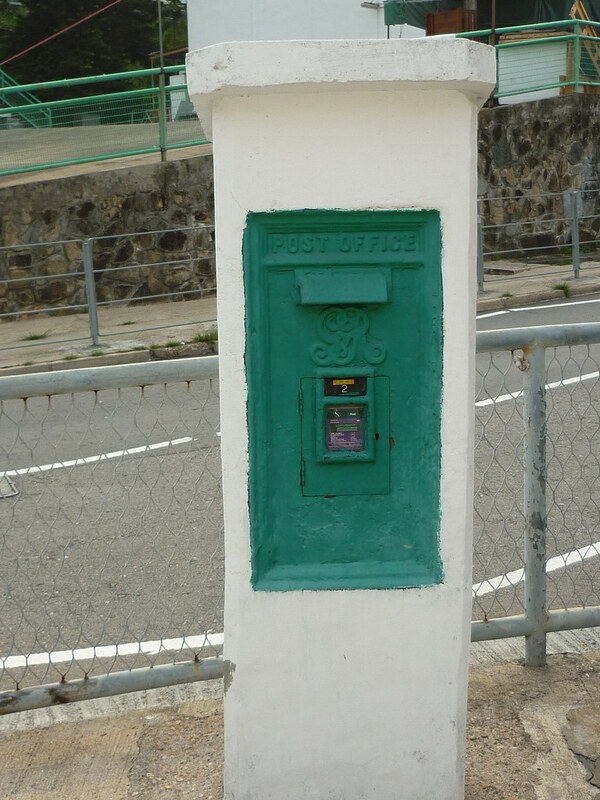 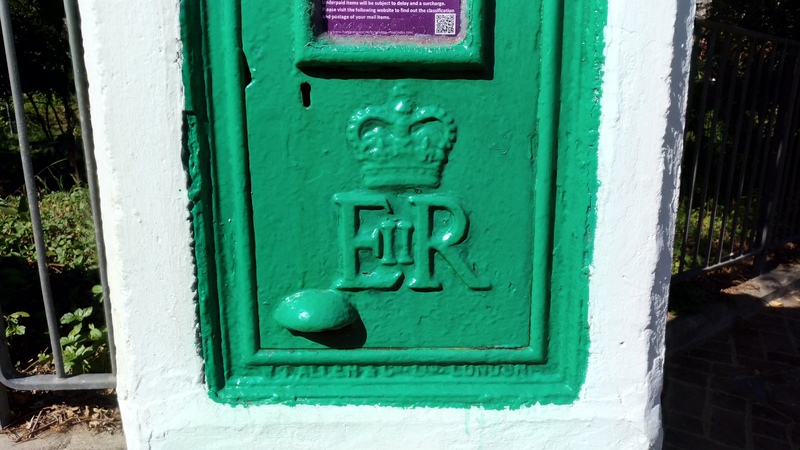 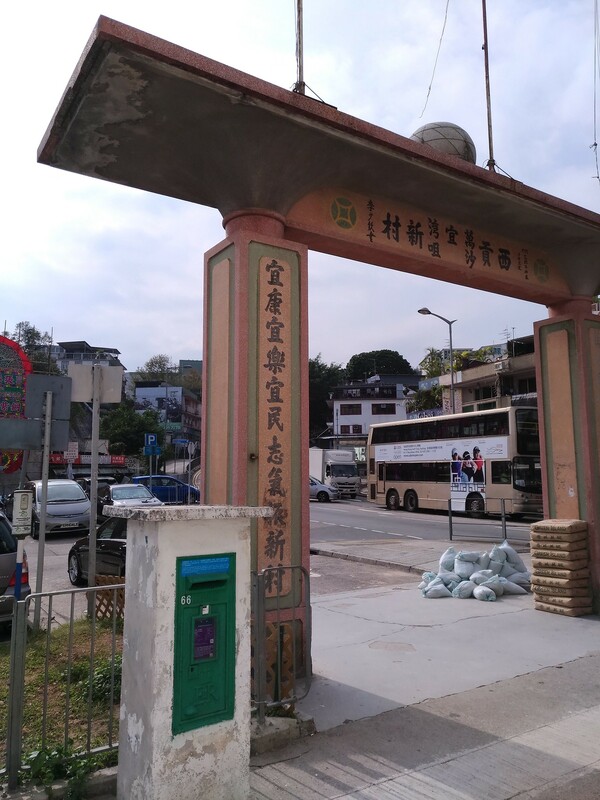 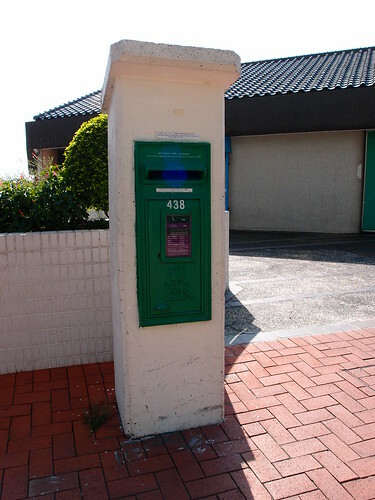 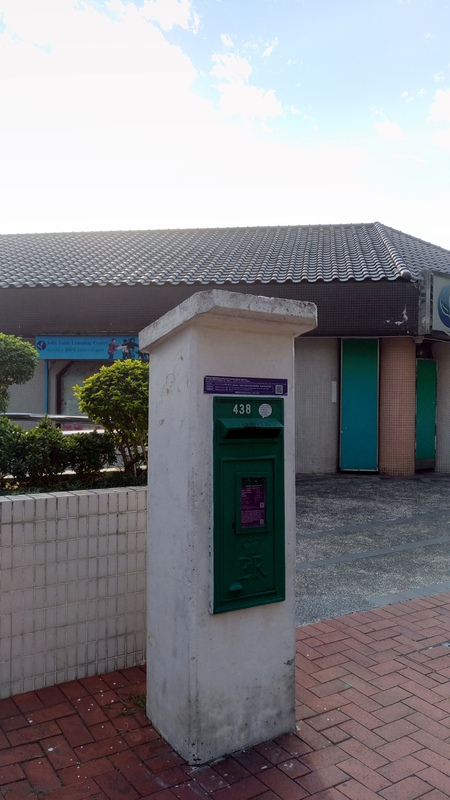 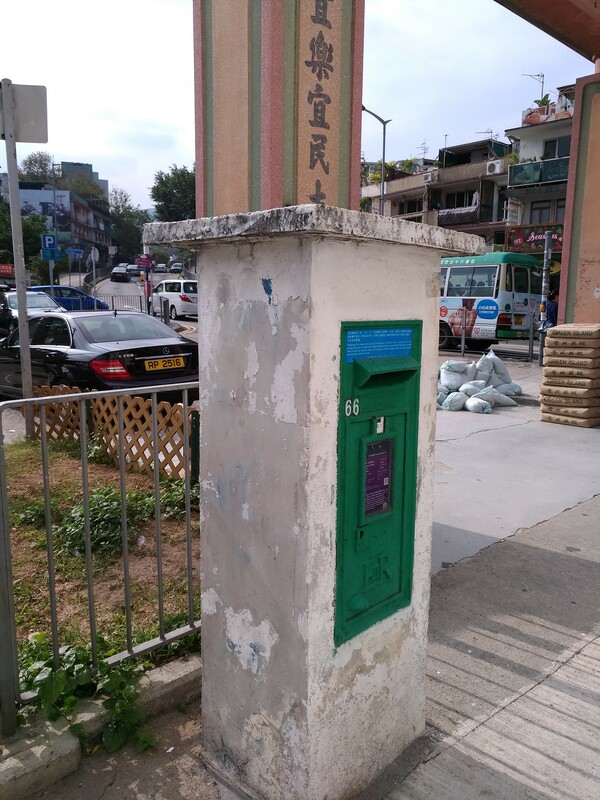 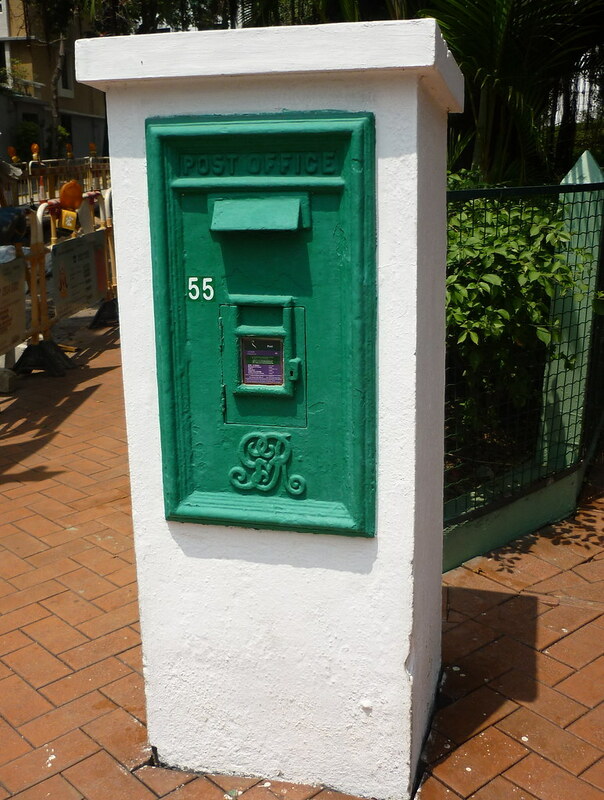 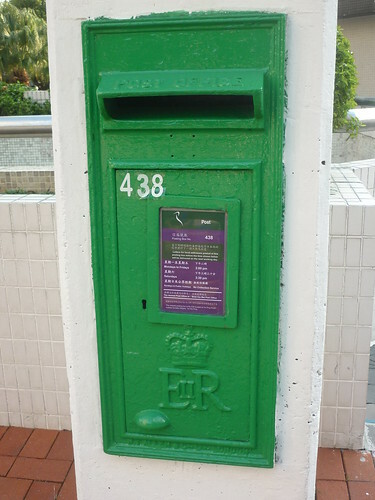 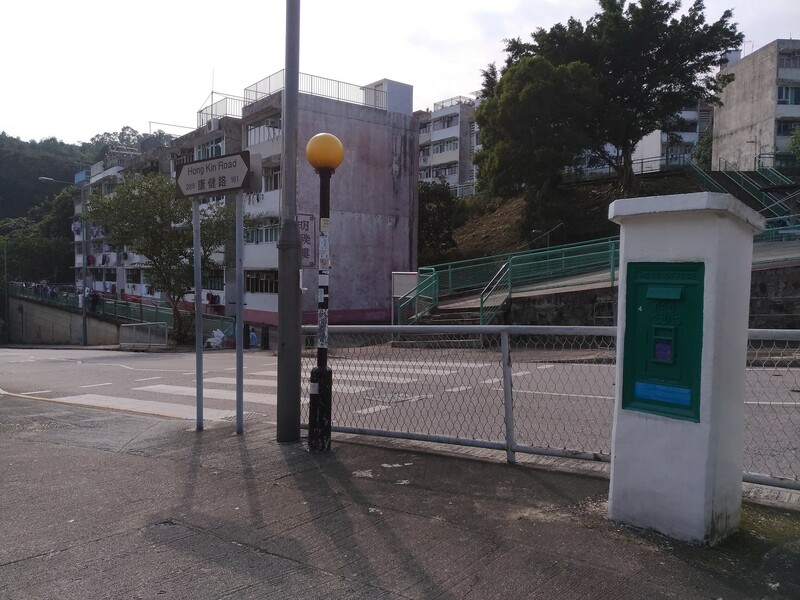 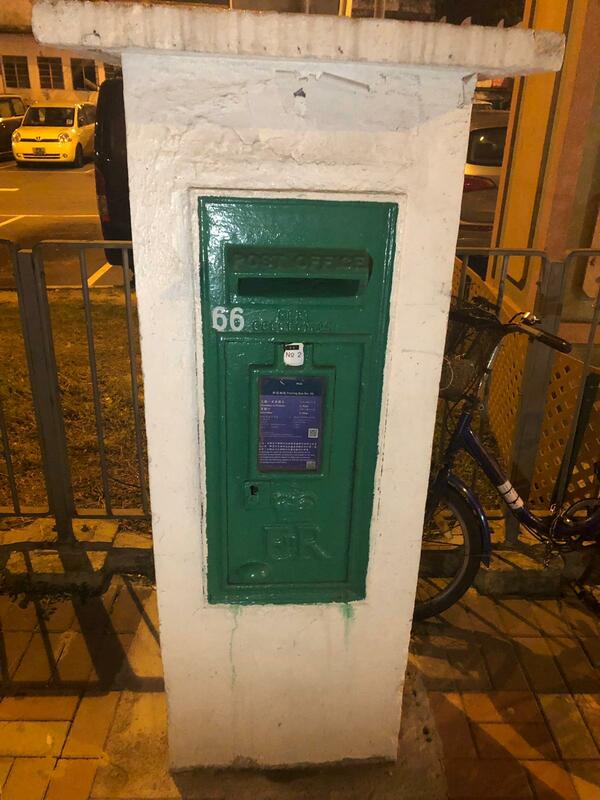 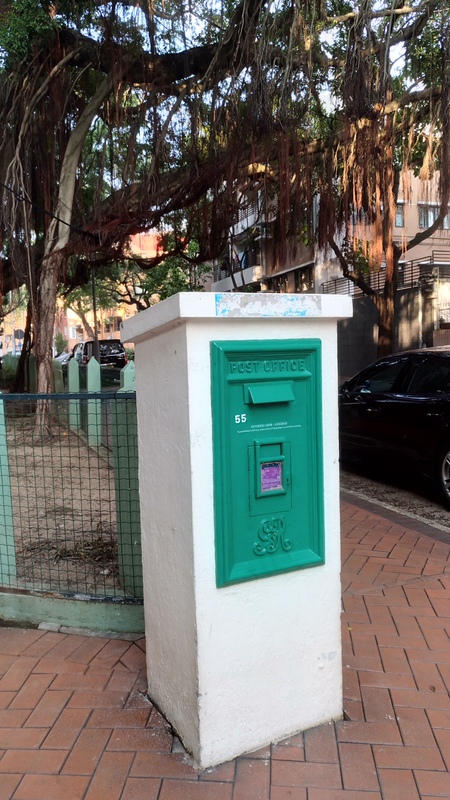 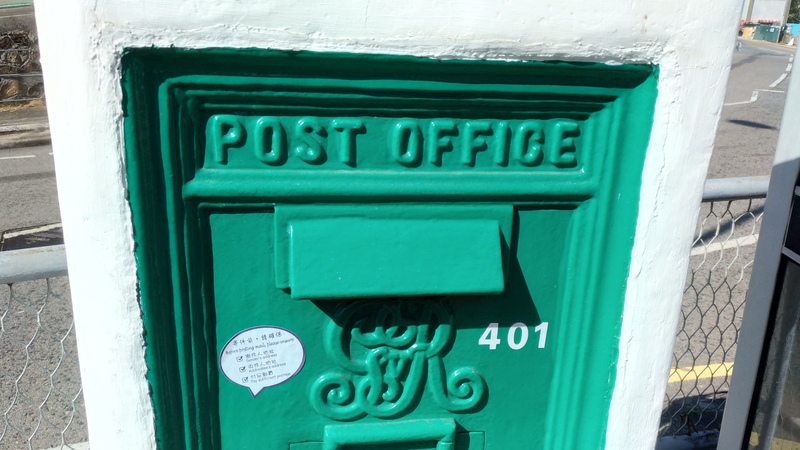 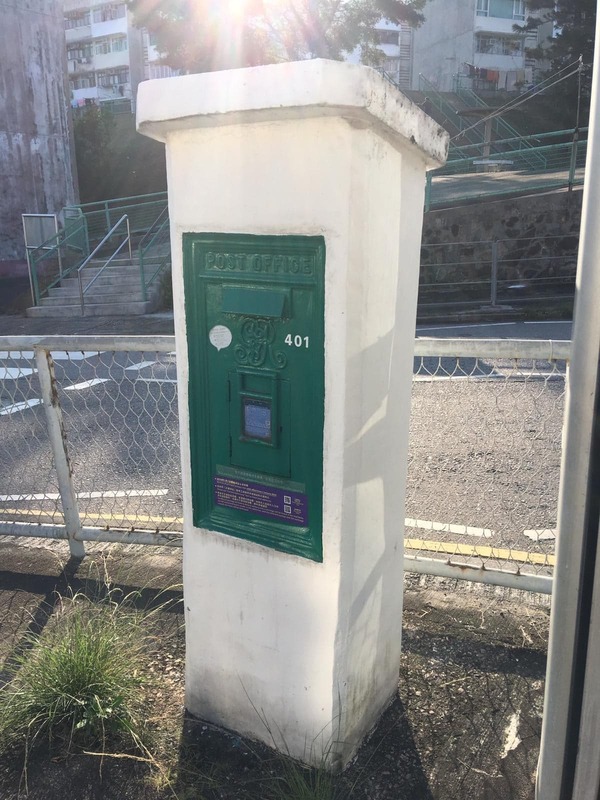 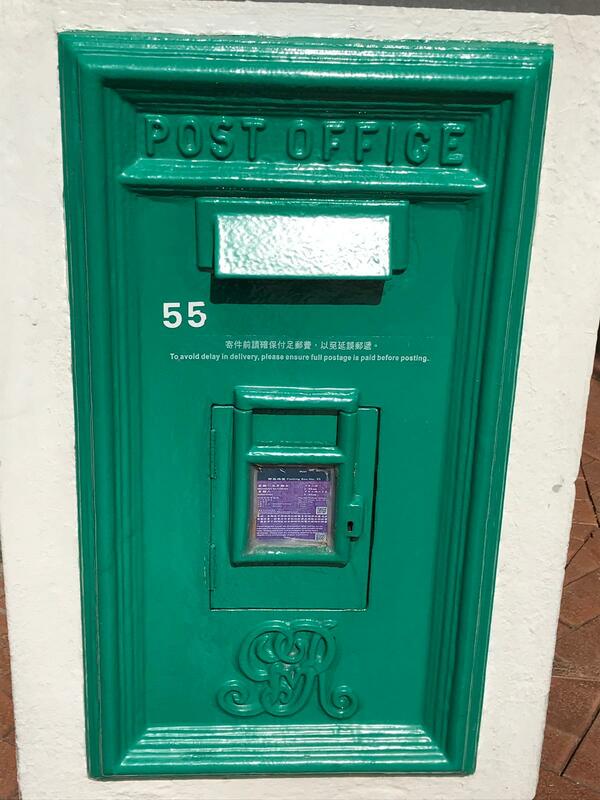 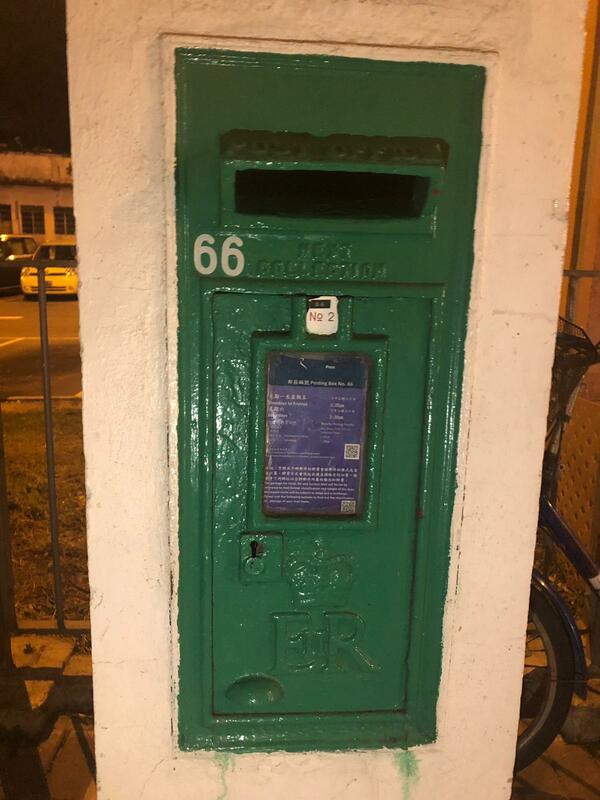 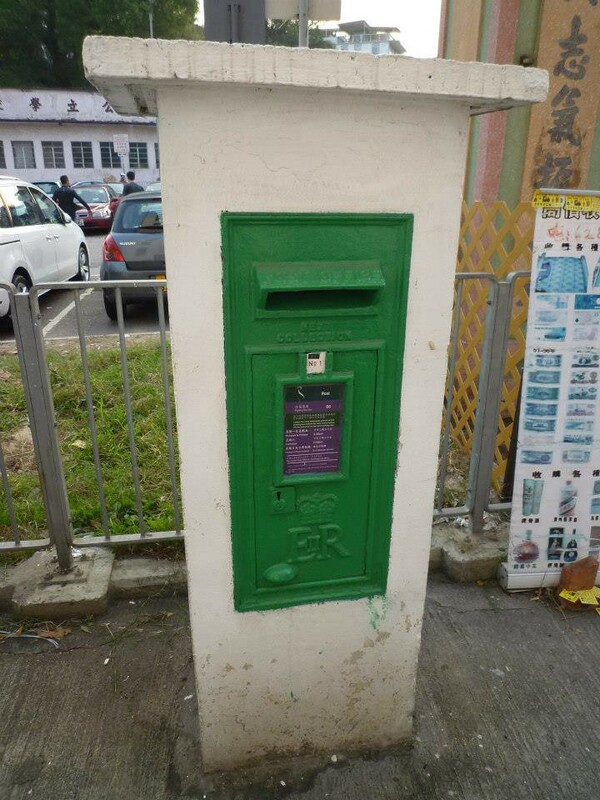 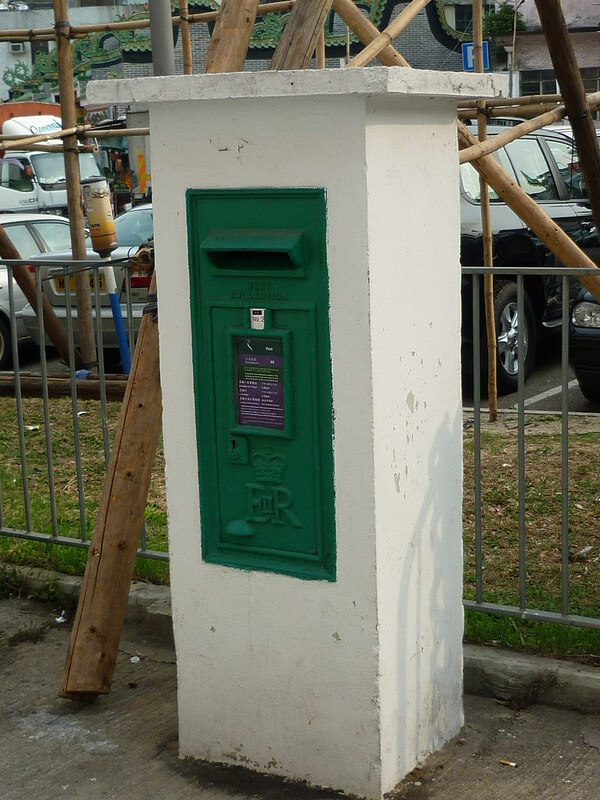 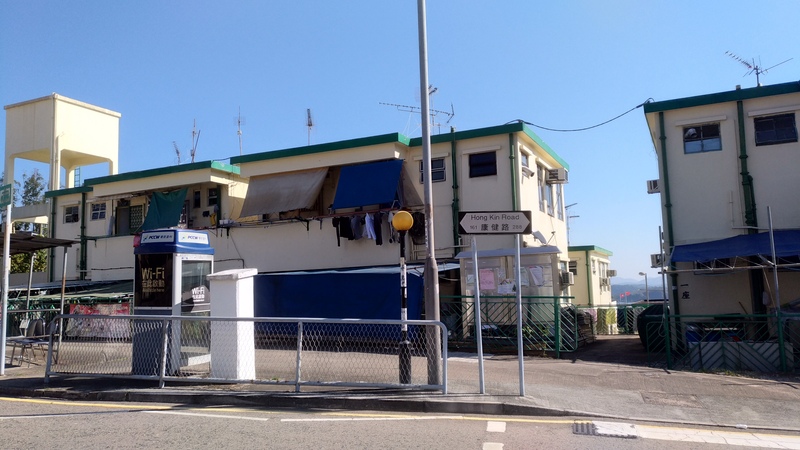 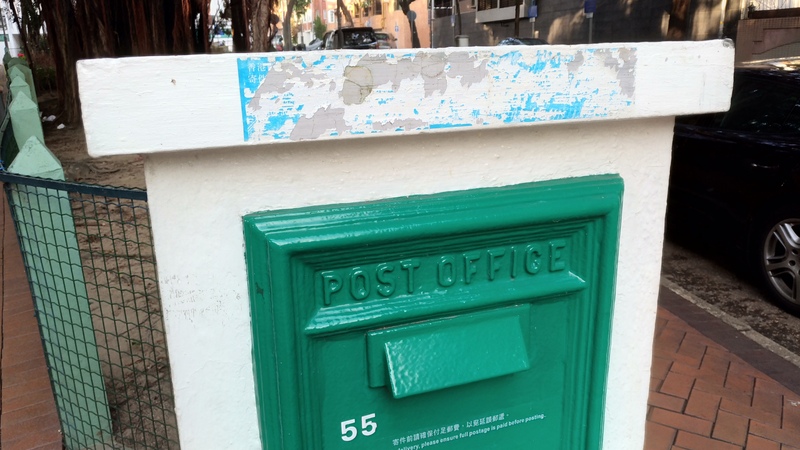 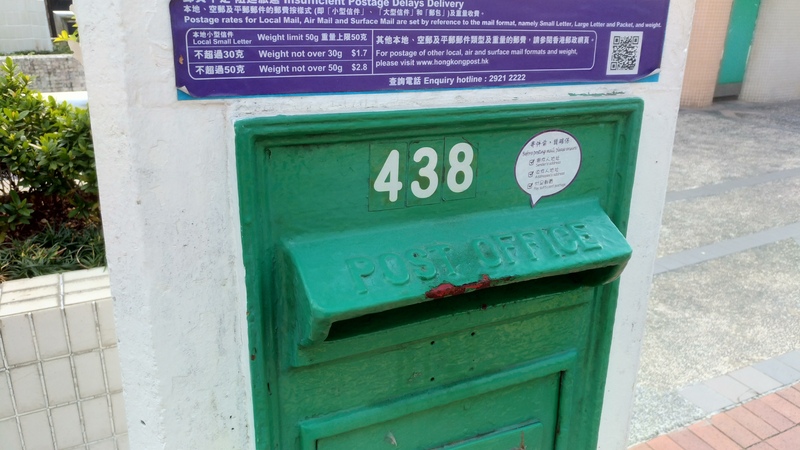 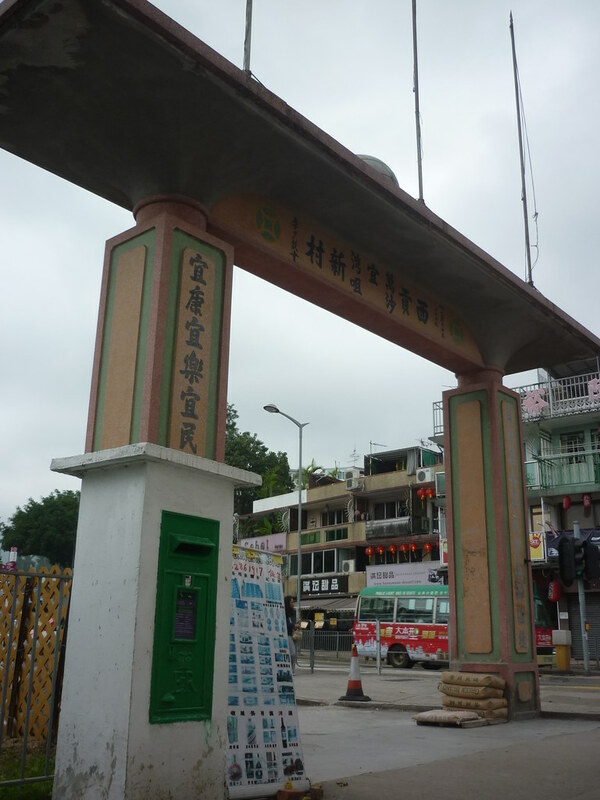 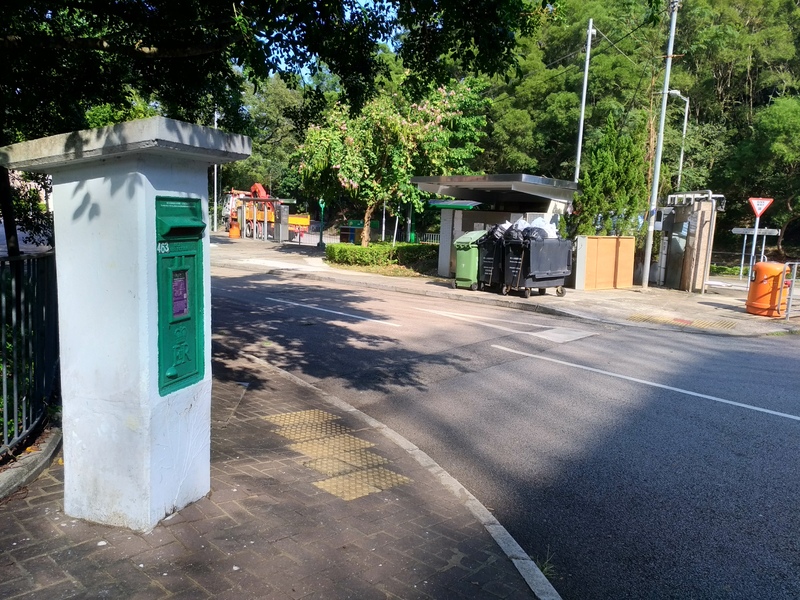 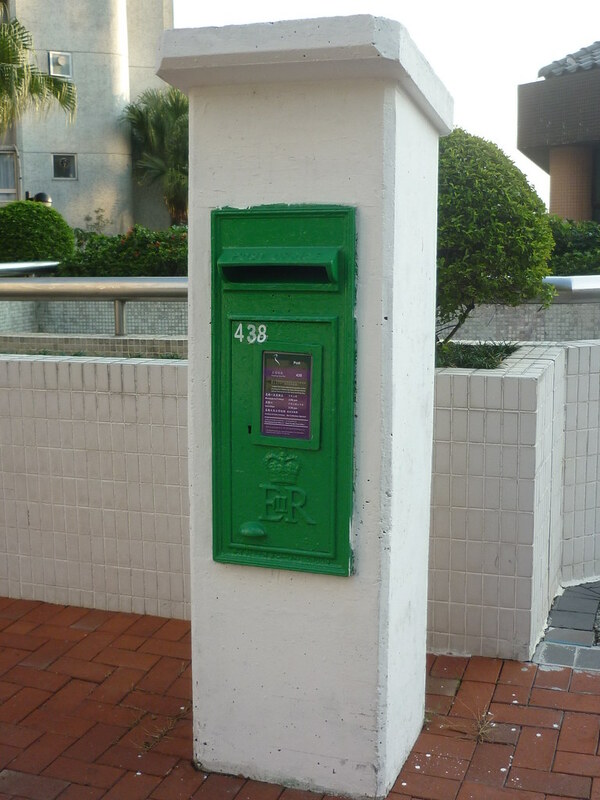 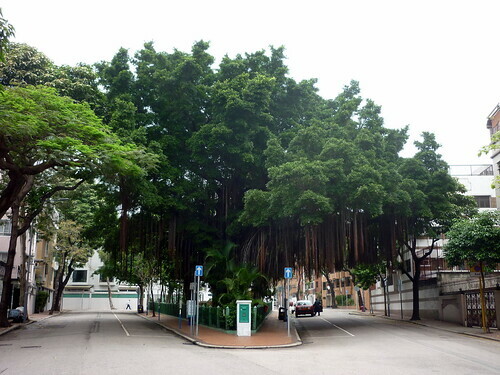 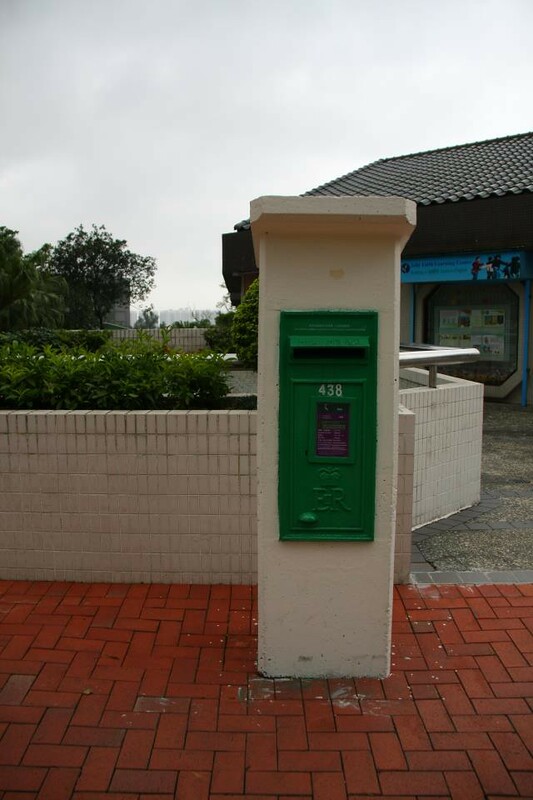 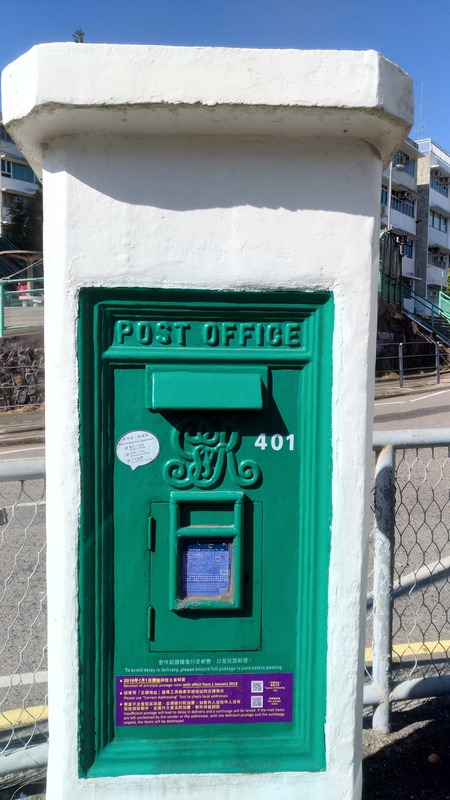 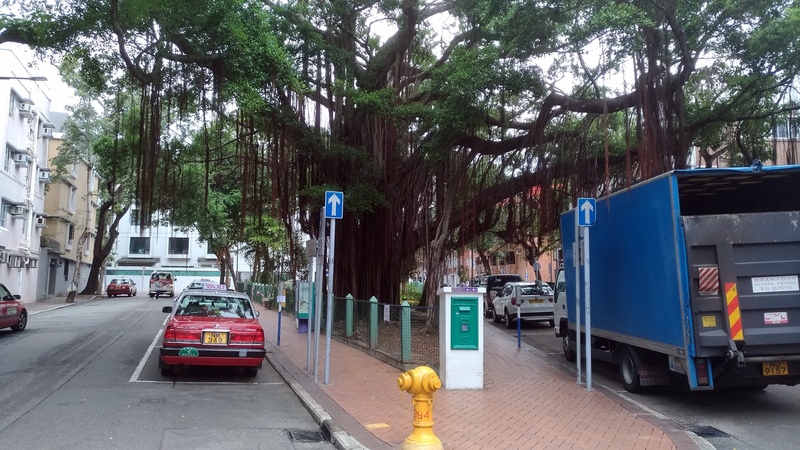 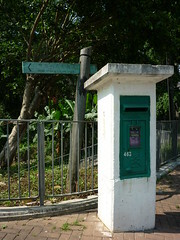 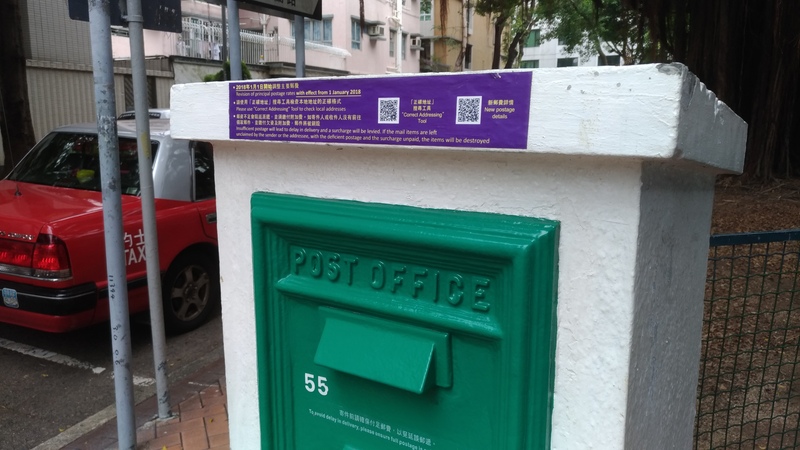 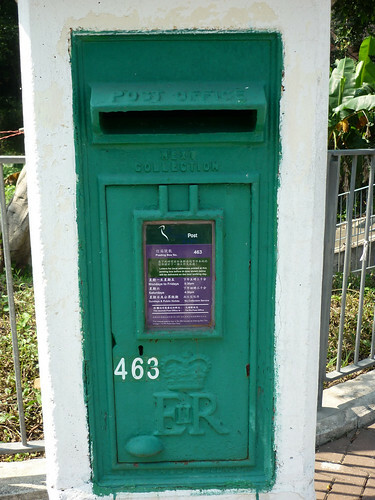 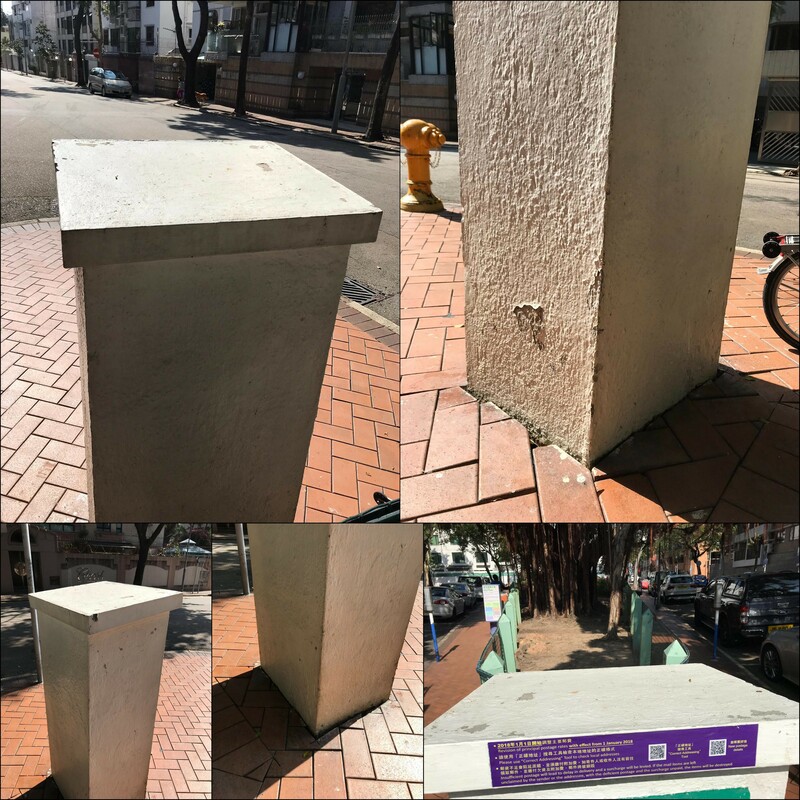 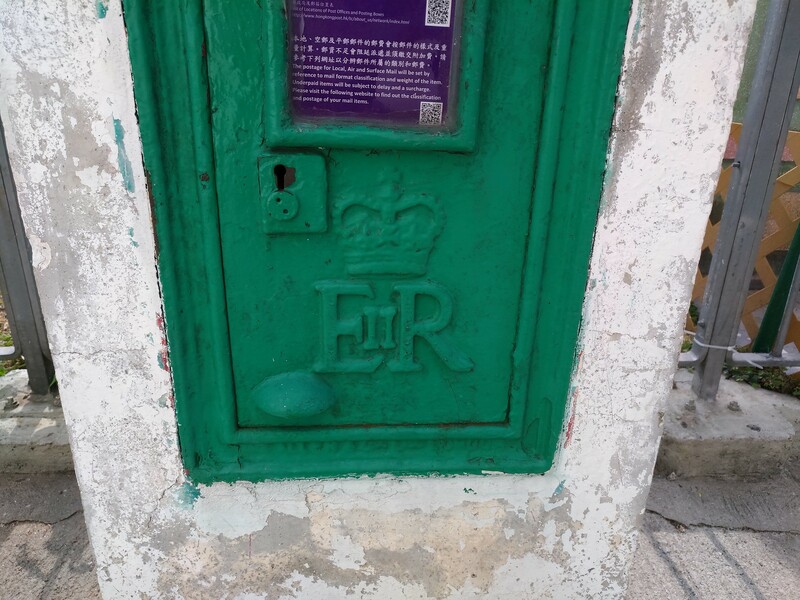 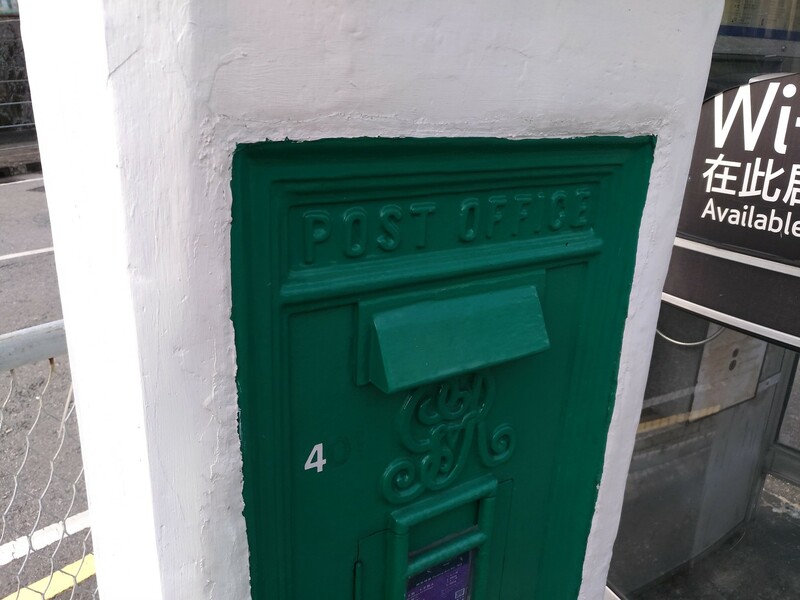 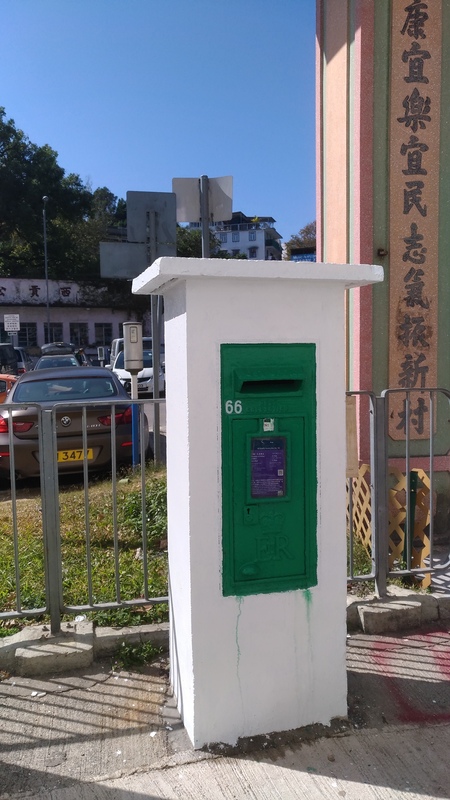 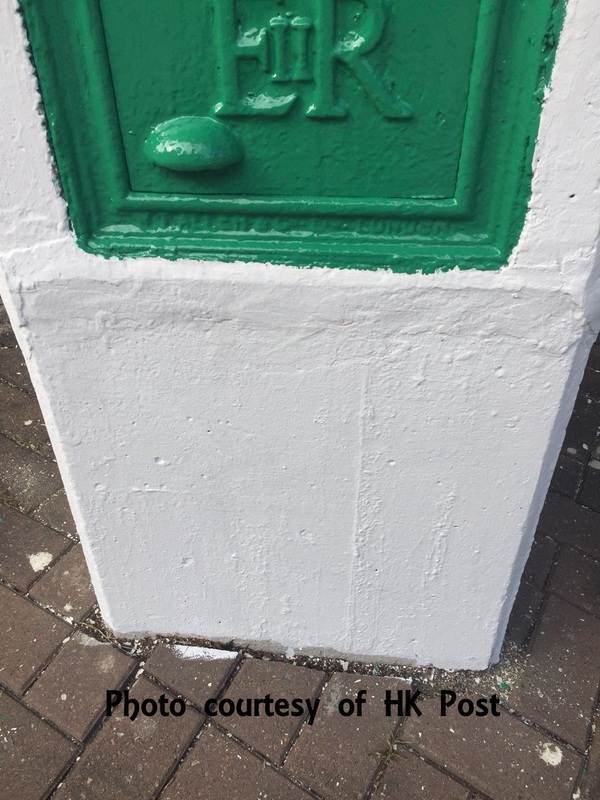 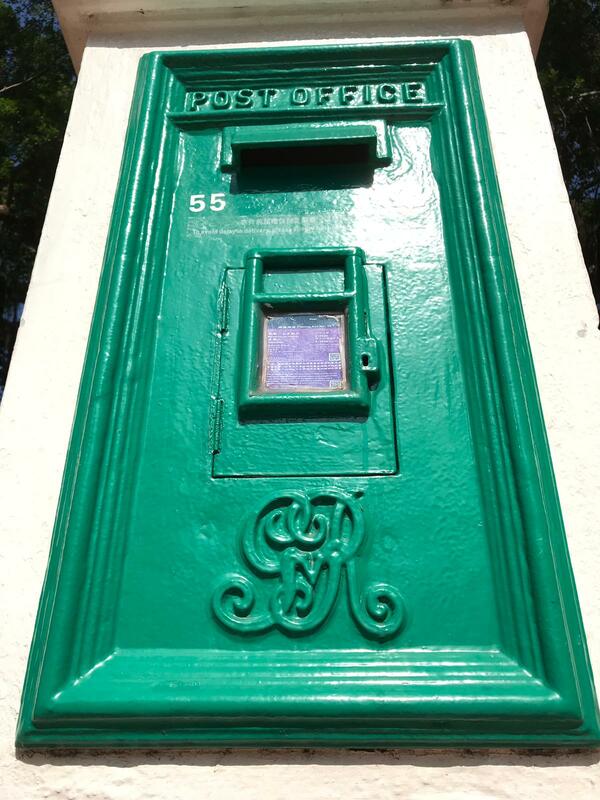 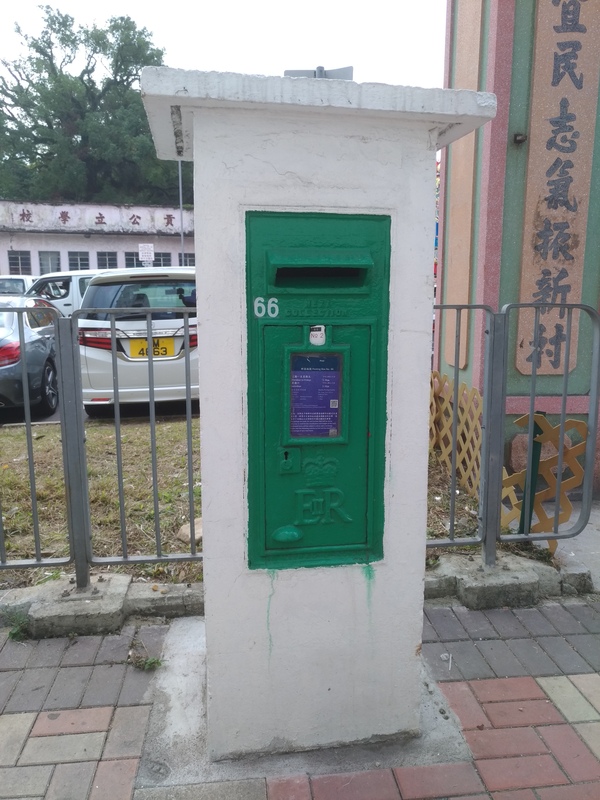 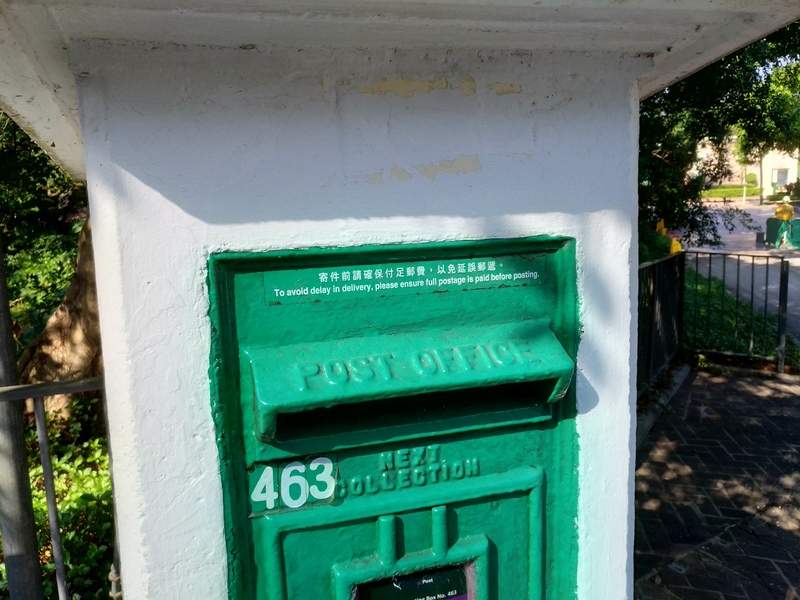 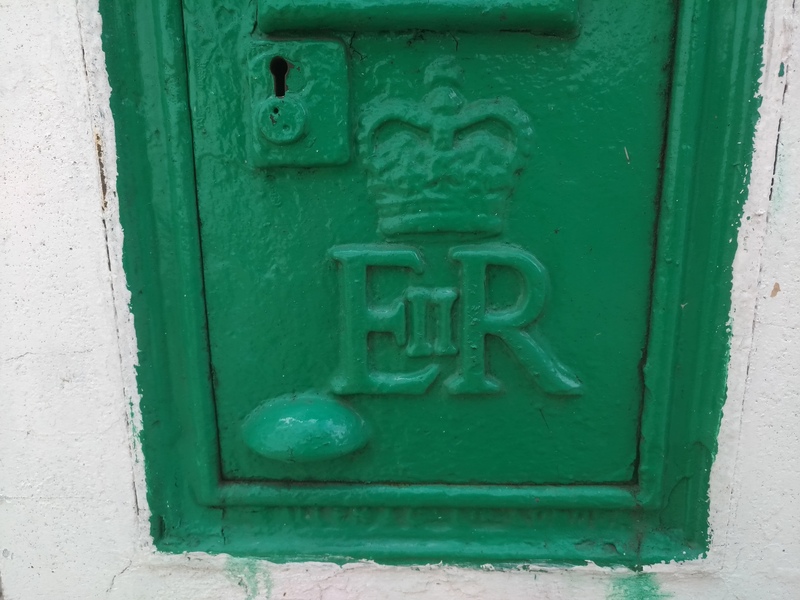 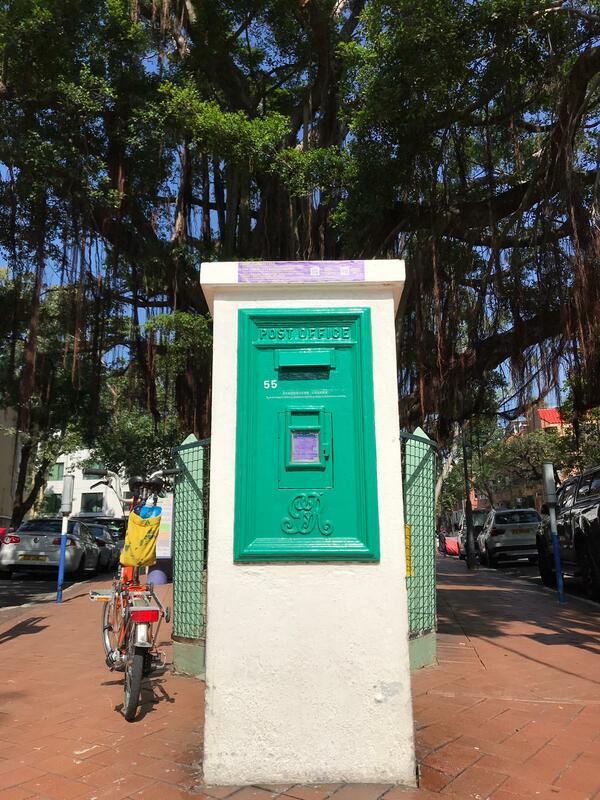 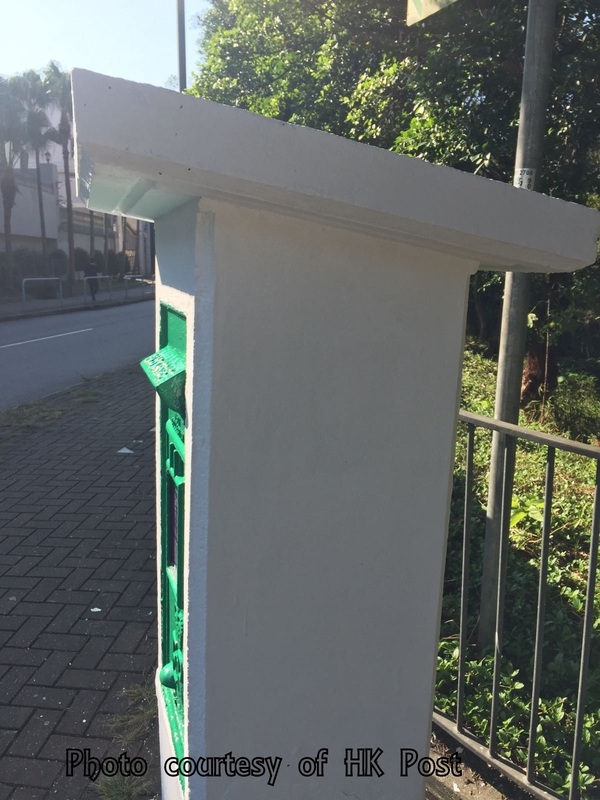 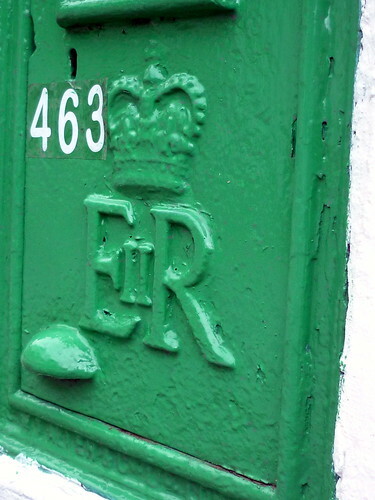 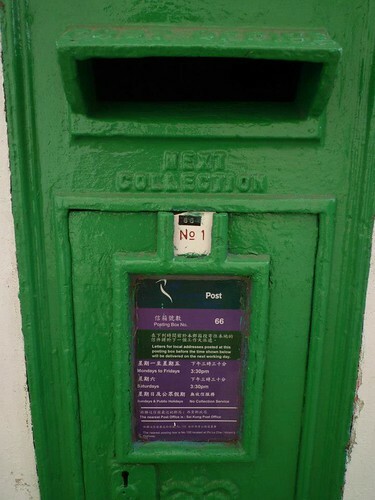 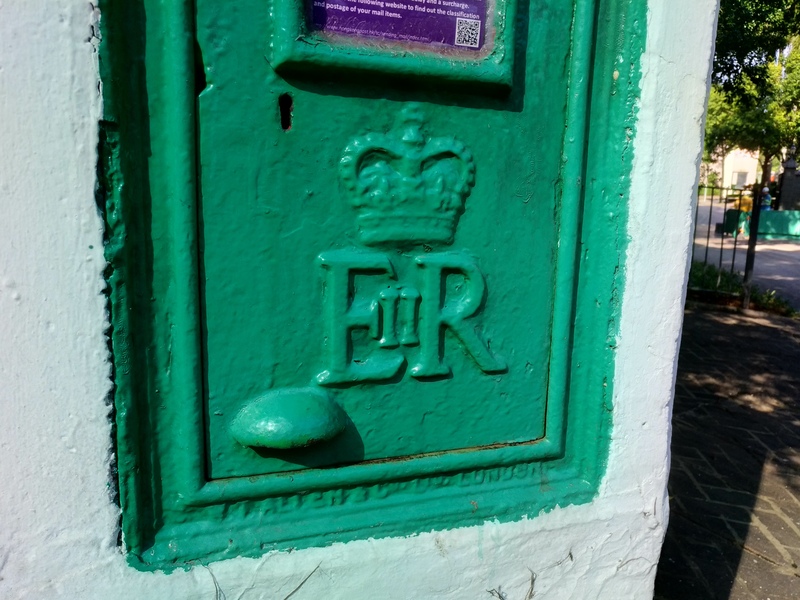 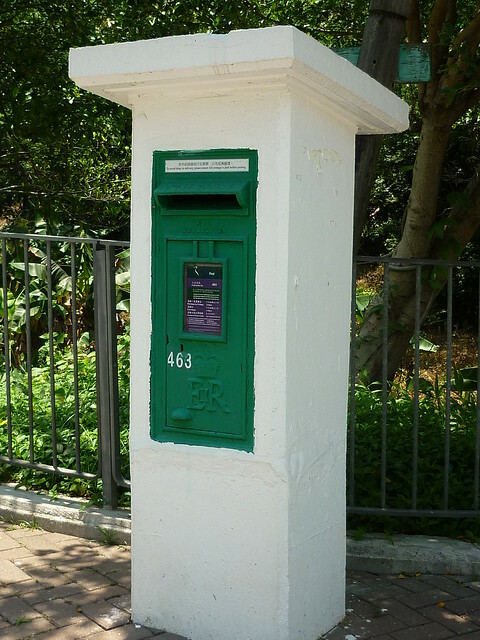 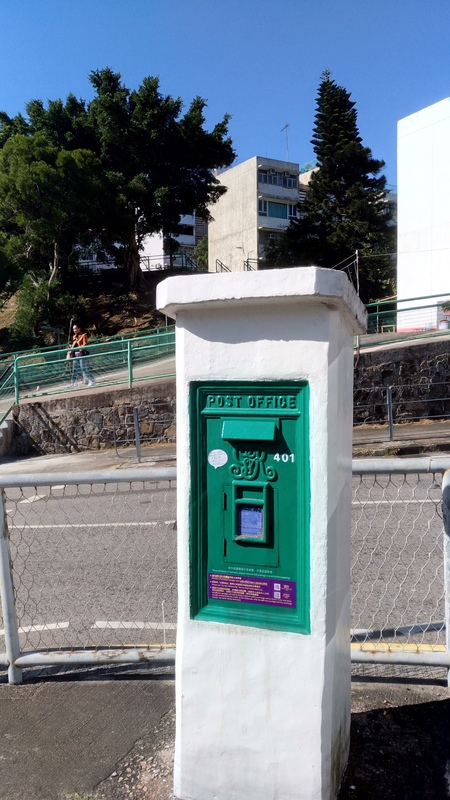 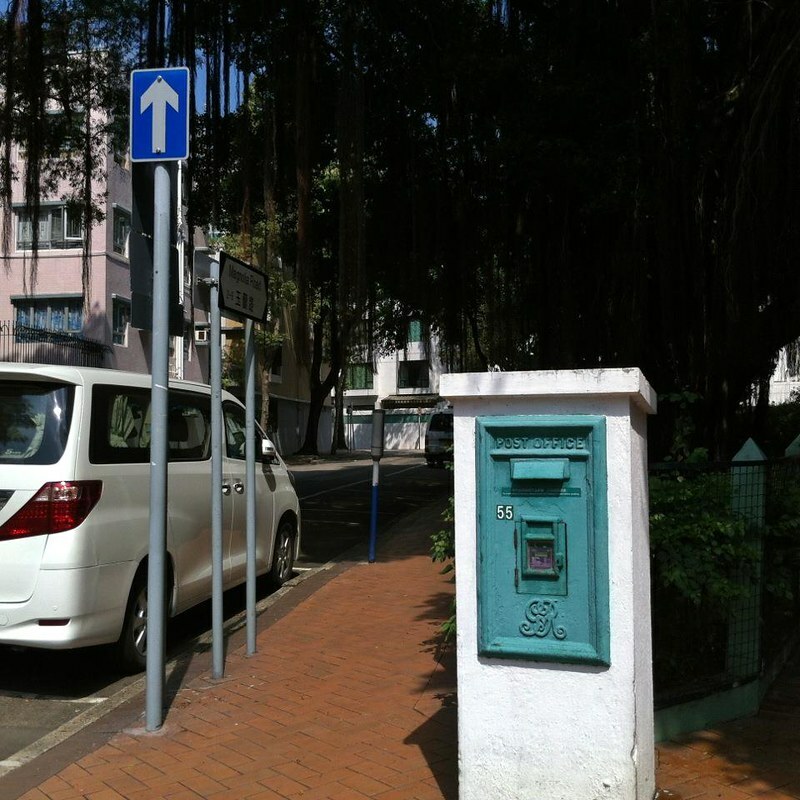 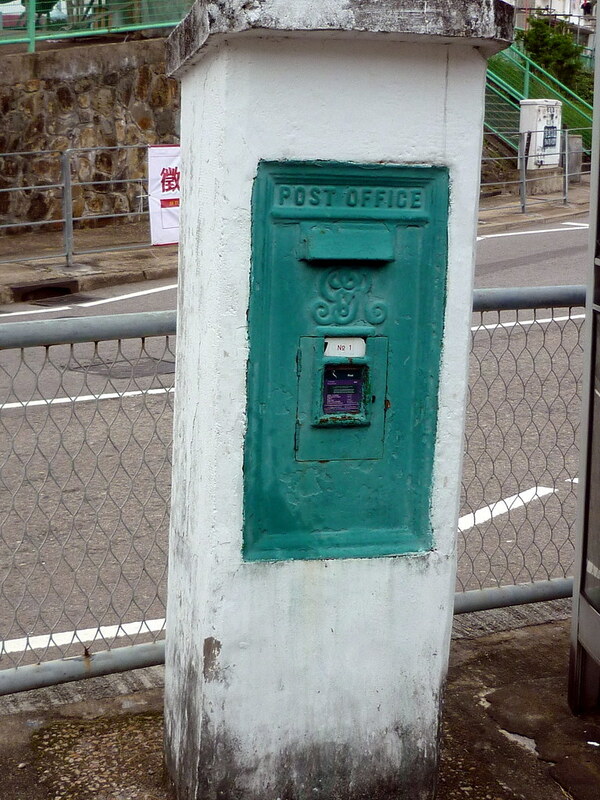 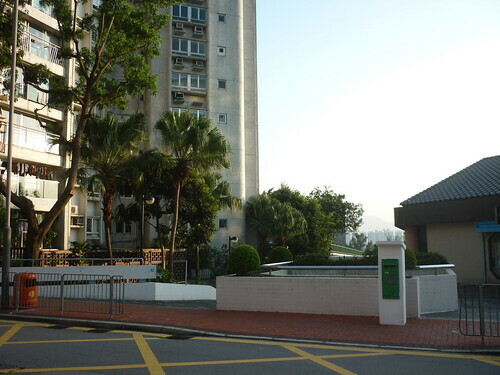 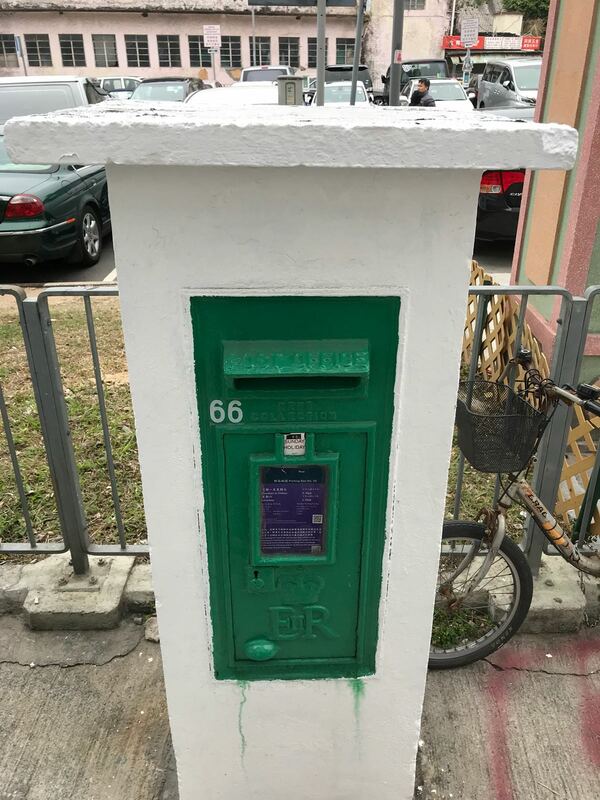 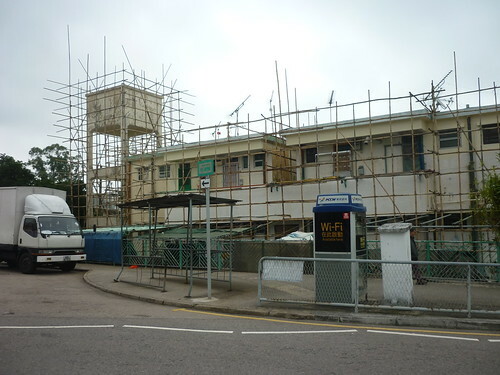 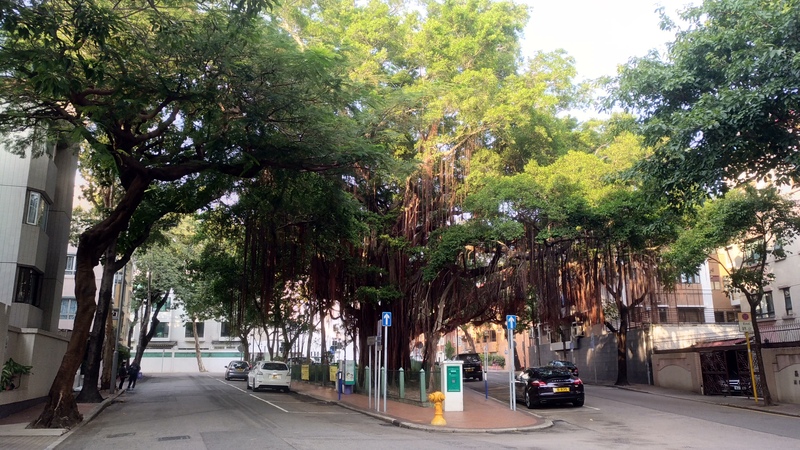 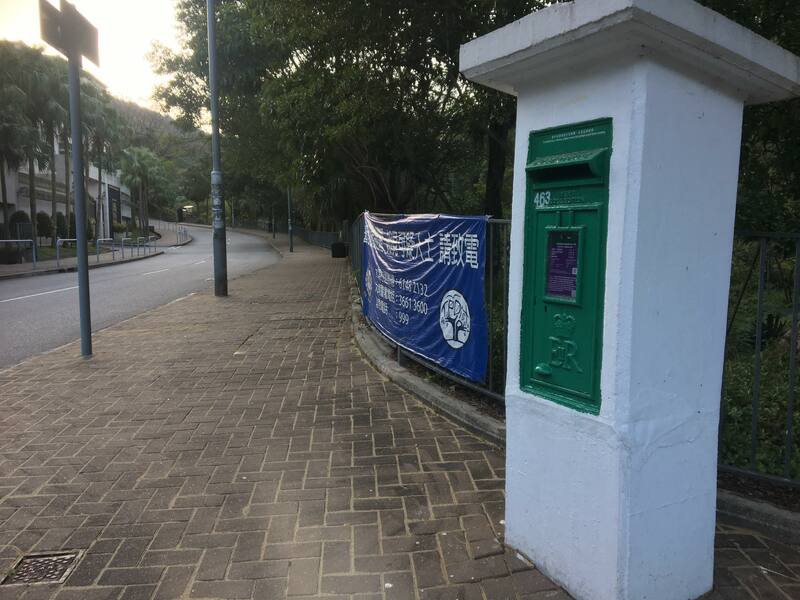 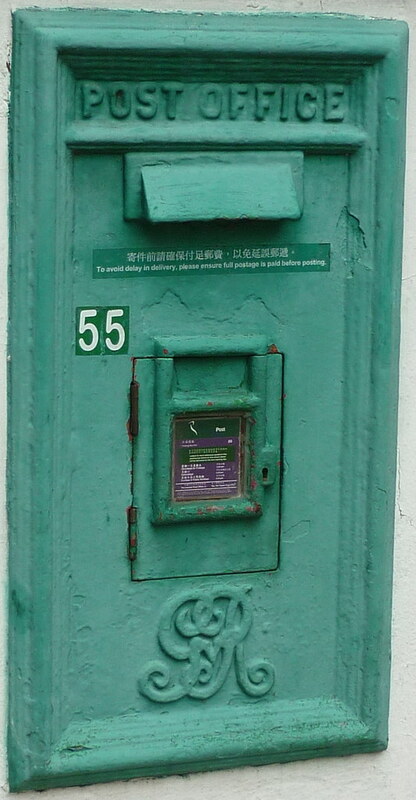 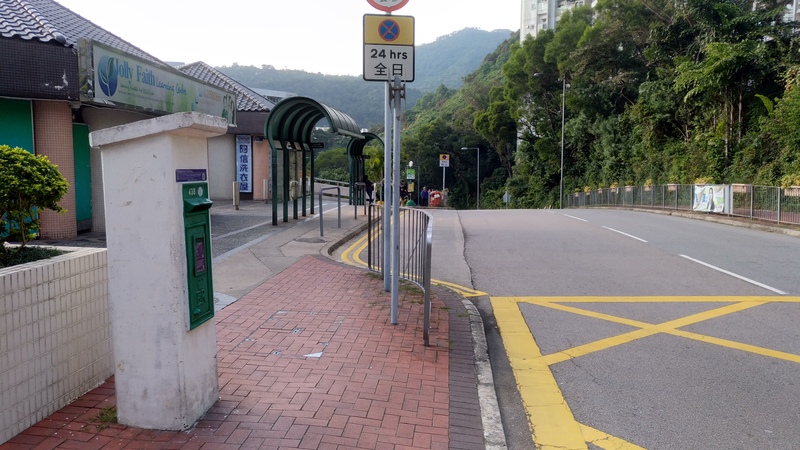 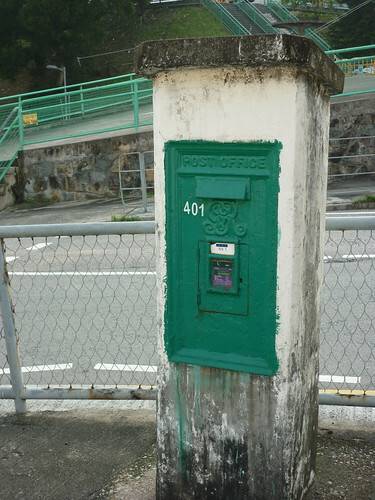 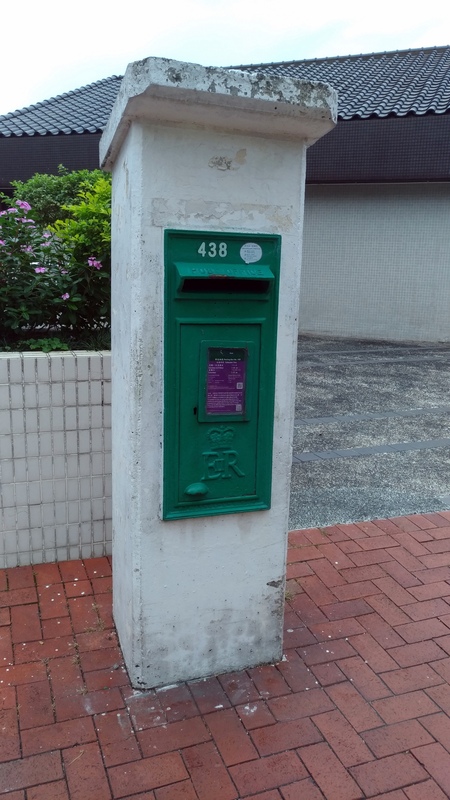 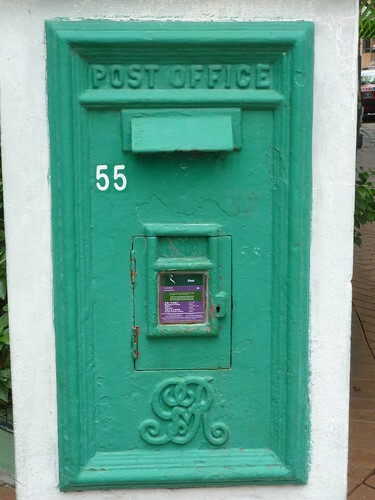 Further to my last year’s correspondence with you, I am writing to bring to the attention of the Commissioner for Heritage’s Office and the Hongkong Post of the precarious condition of Postbox 438 at Beacon Height, Tai Wo Ping, Kowloon. 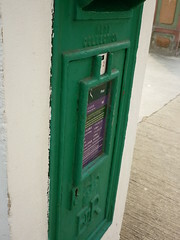 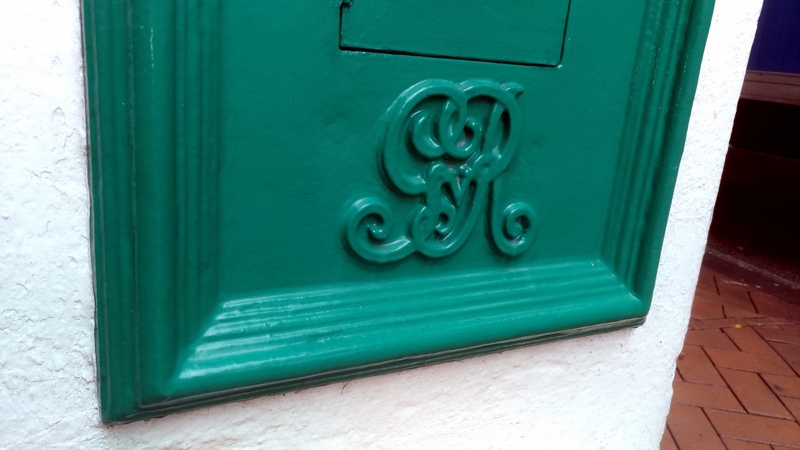 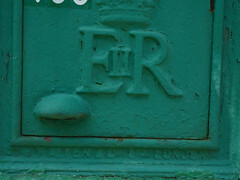 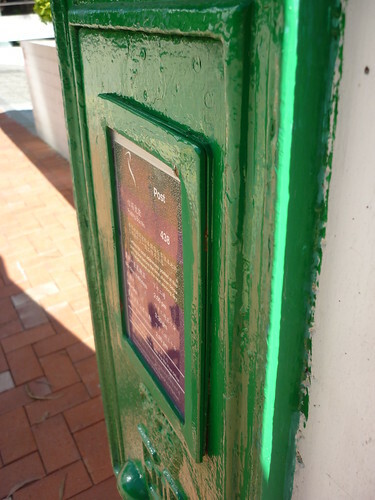 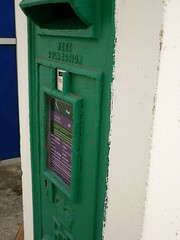 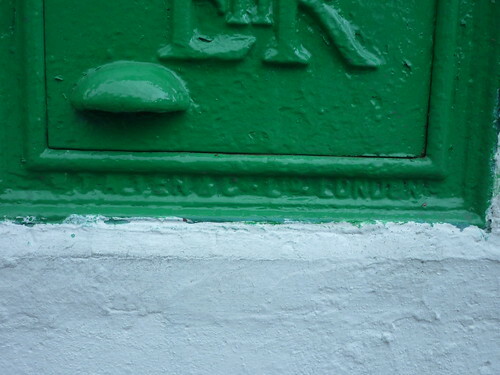 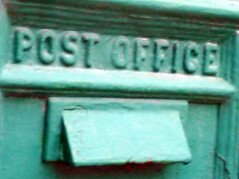 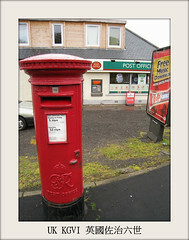 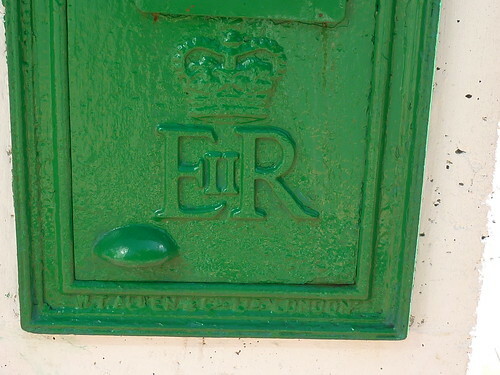 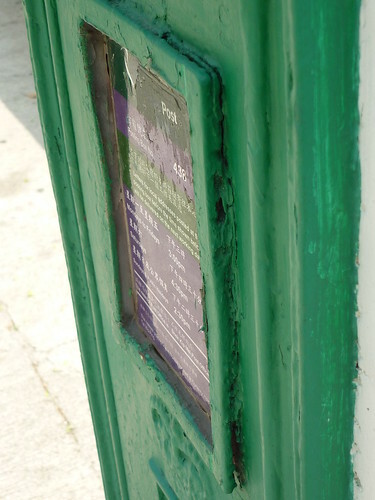 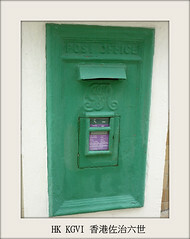 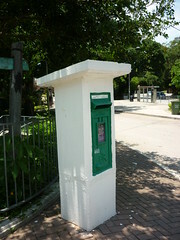 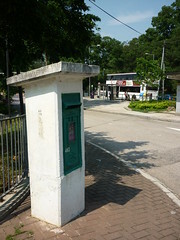 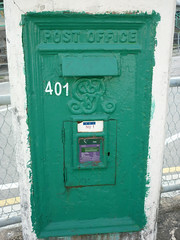 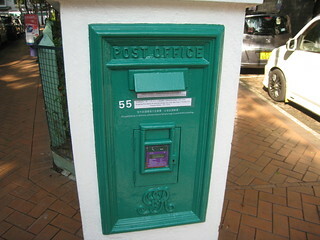 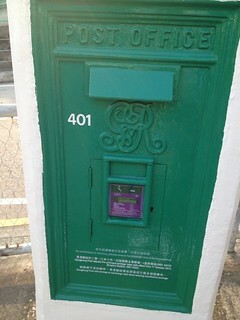 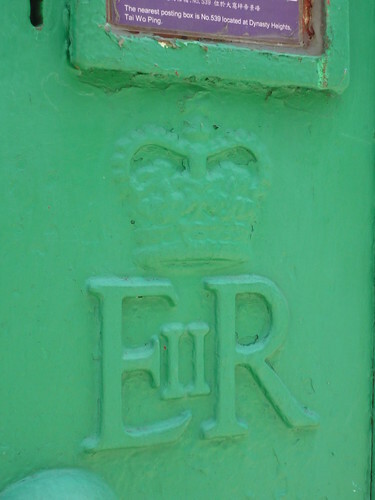 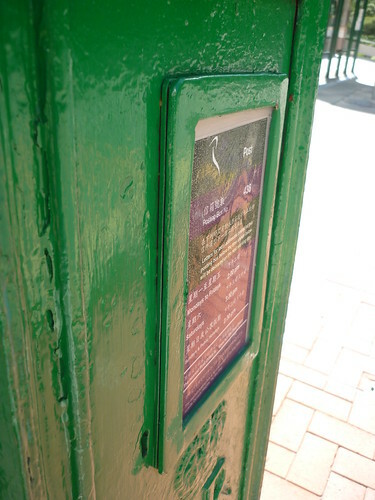 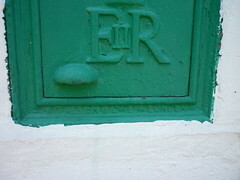 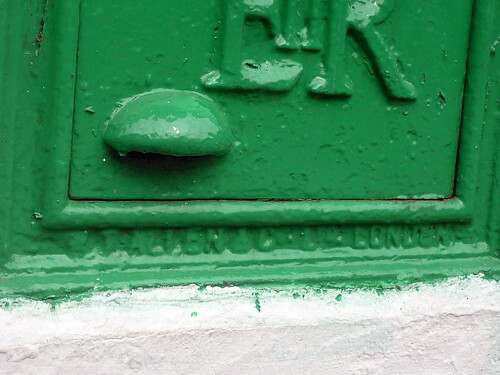 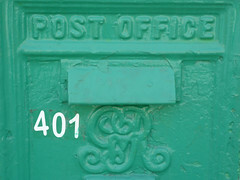 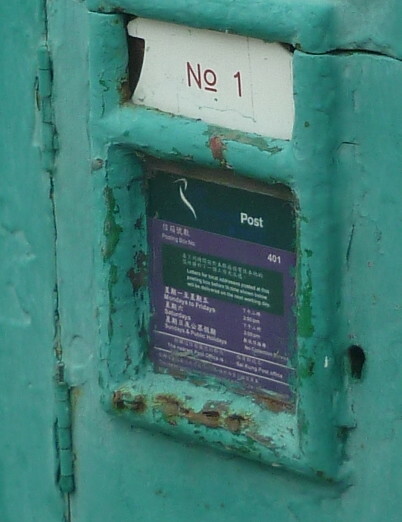 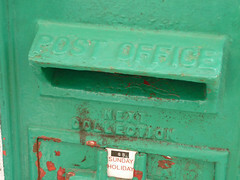 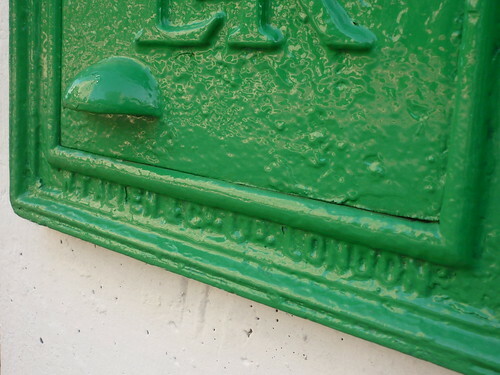 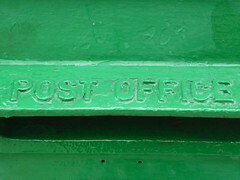 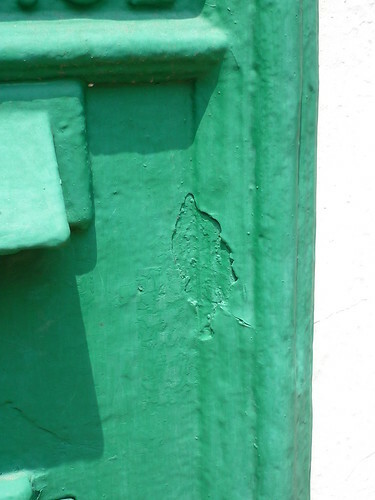 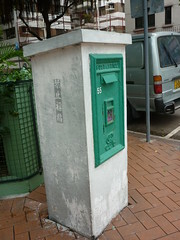 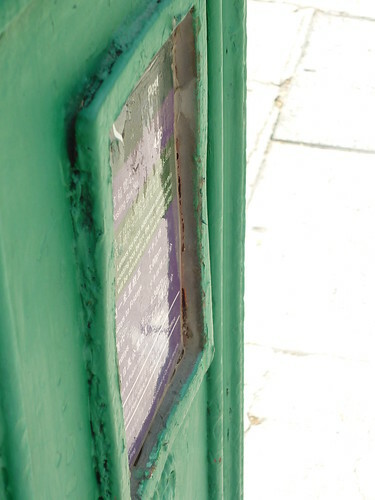 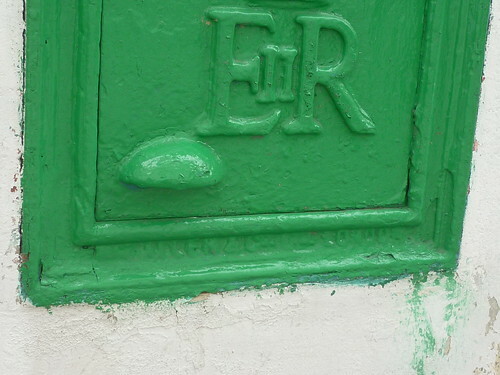 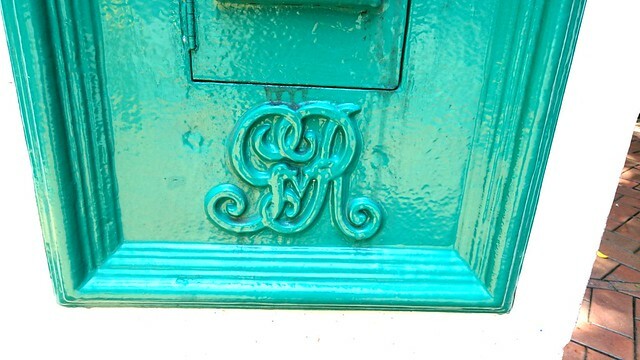 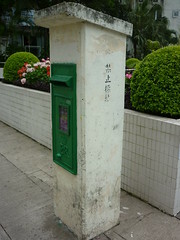 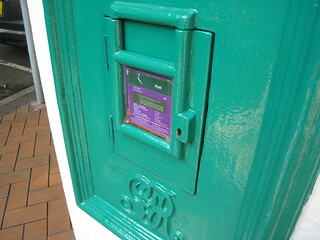 When I visited that postbox today, I noticed part of the front of the box (the frame-like part) has partially come off (please see attached photos 1 and 2 or, alternatively, they can be viewed at this link http://hkpostbox.xanga.com/725718106/%E6%90%9C%E7%B4%A2%E9%9A%8A%E5%9B%9E%E5%A0%B1—%E9%83%B5%E7%AD%92438/ as the third and fourth pictures). 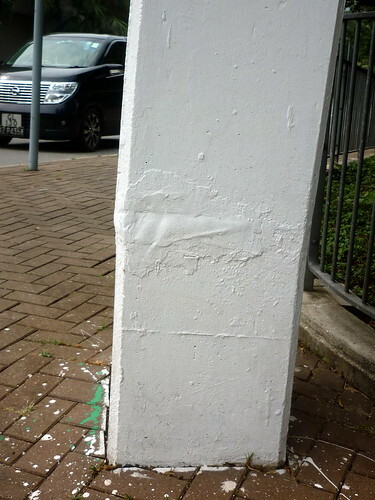 Although there seems no danger of its completely coming off, I think it would be prudent to have that part fixed. 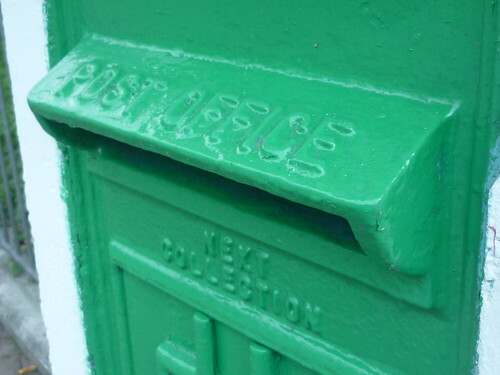 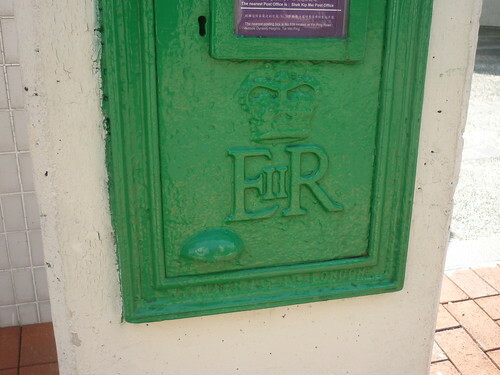 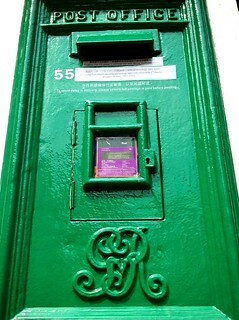 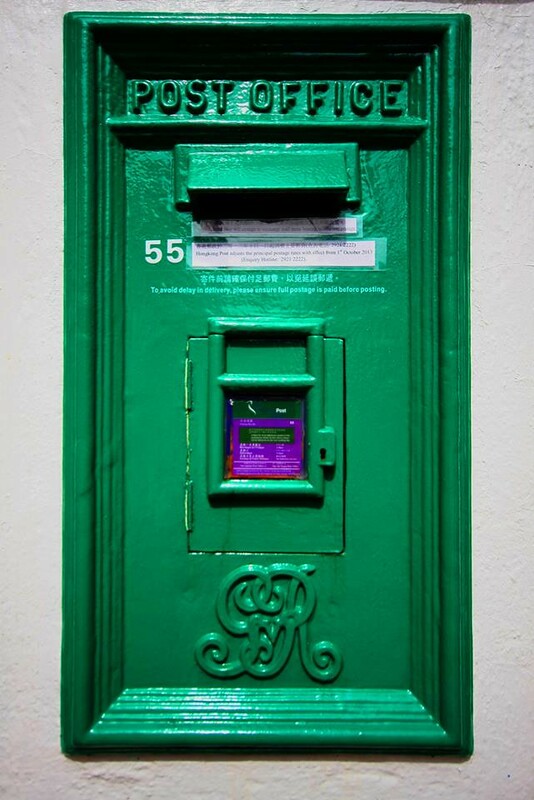 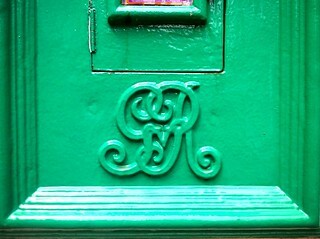 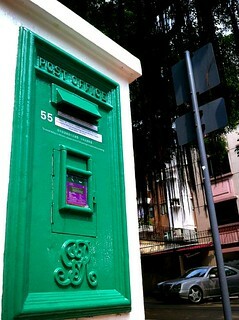 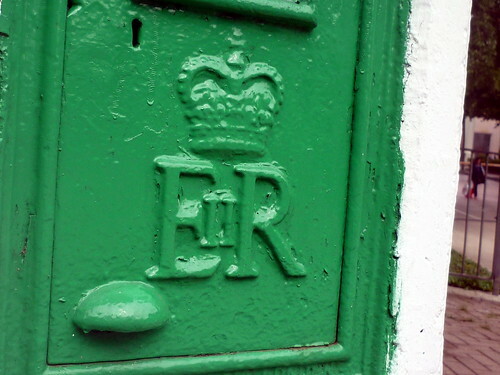 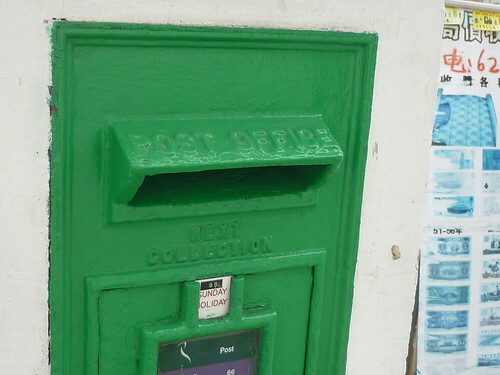 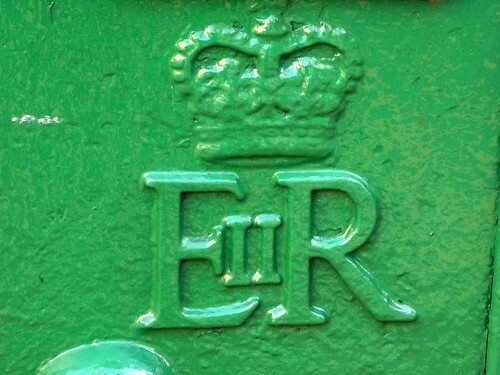 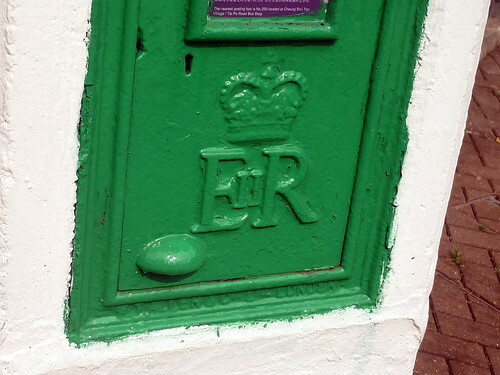 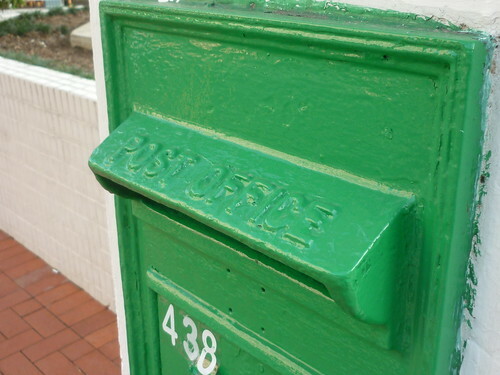 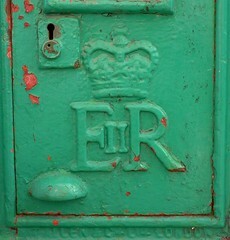 And I believe this is feasible as another postbox (No. 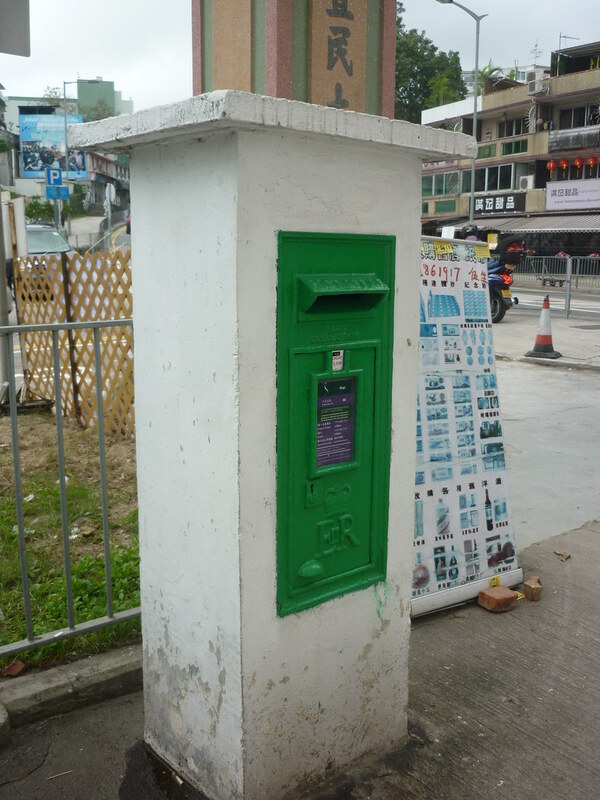 232 at On Hing House / Hing Wah (II) Estate, Chai Wan) which had a similar problem last year has now been so mended (apparently by welding the coming-off part bak to the main body; please see third attached picture or photos at this link http://hkpostbox.xanga.com/725717009/%E6%90%9C%E7%B4%A2%E9%9A%8A%E5%9B%9E%E5%A0%B1—%E9%83%B5%E7%AD%92-232/). 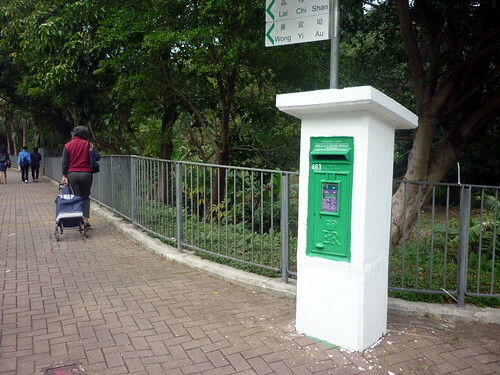 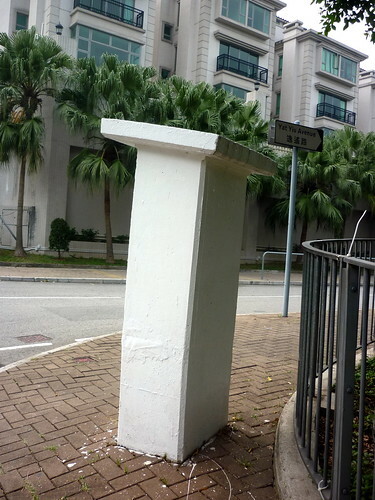 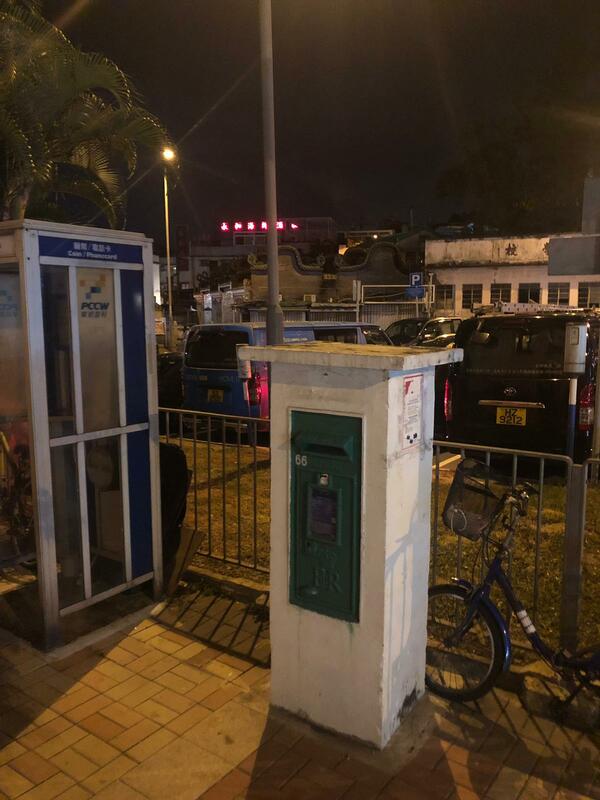 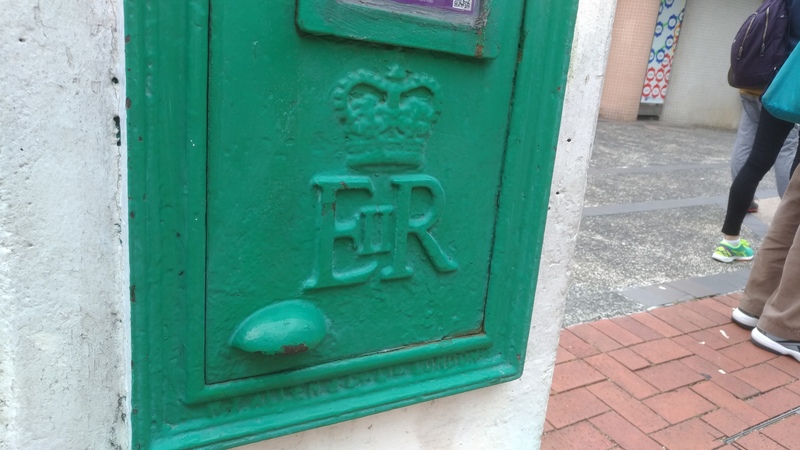 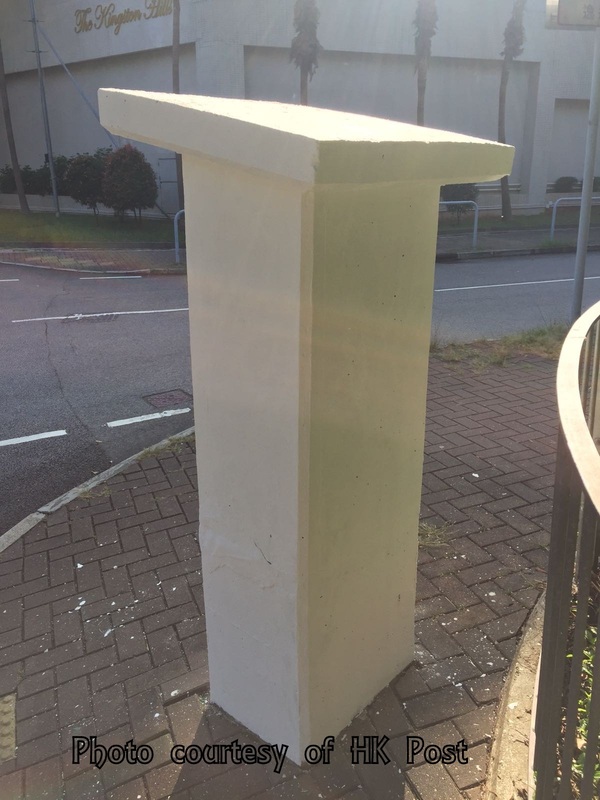 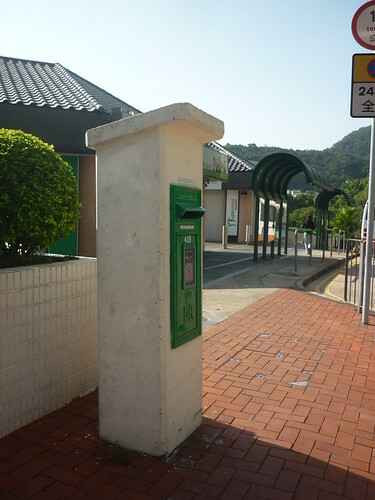 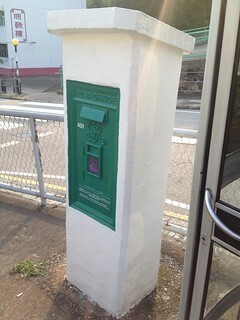 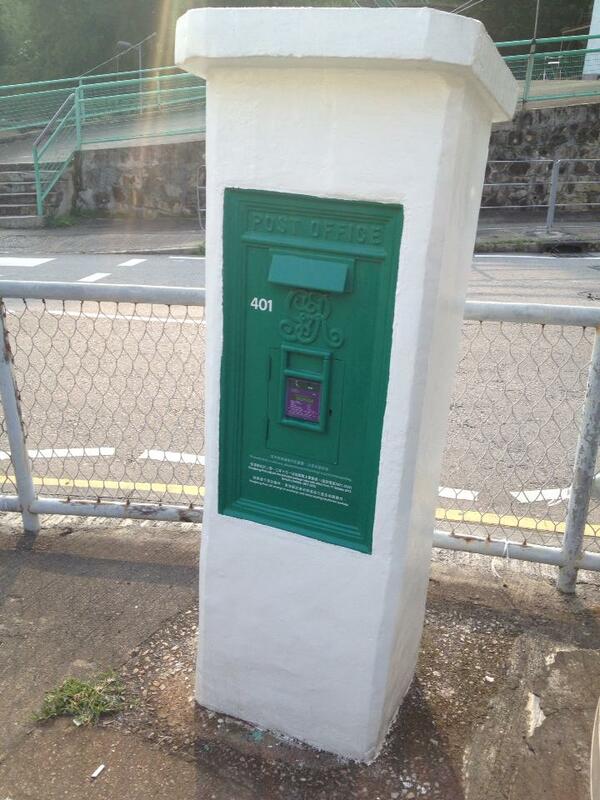 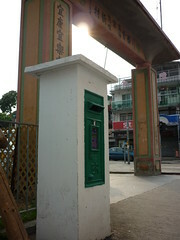 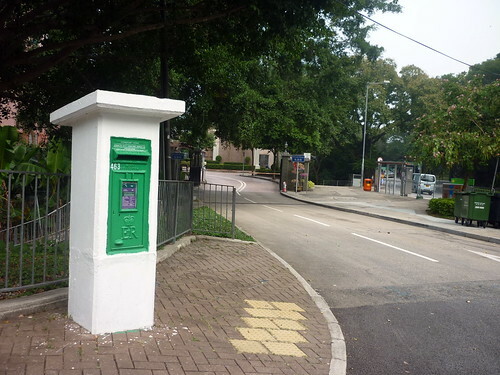 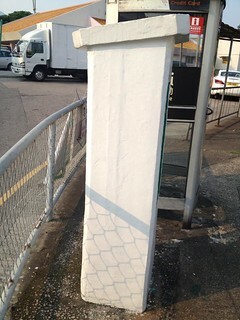 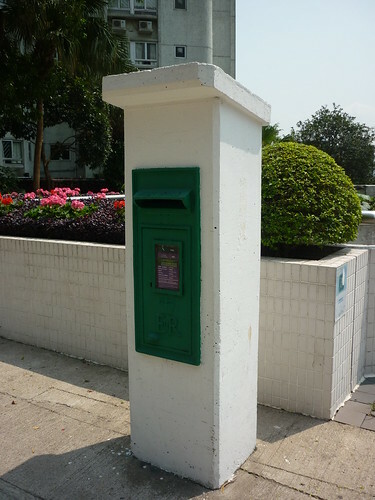 I sincerely hope this will not be taken by Hongkong Post as an opportunity to remove this wall-mounted ERII box, especially given its uniqueness for being taller and slimmer than most other wall-mounted boxes in Hong Kong. 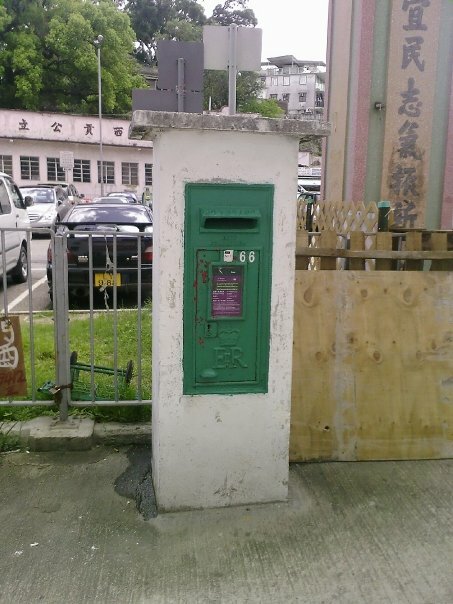 Should that happen it would make a mockery of the joint effort of the Commissioner for Heritage’s Office and Hongkong Post to preserve the other chosen nine postboxes. 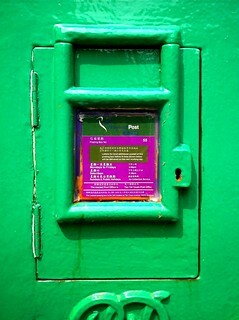 Thank you for your e-mail of 7 April 2011. 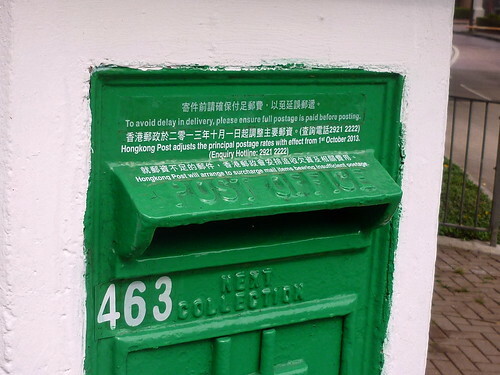 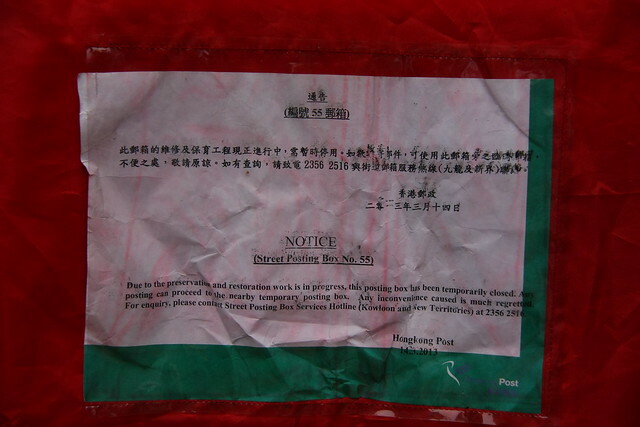 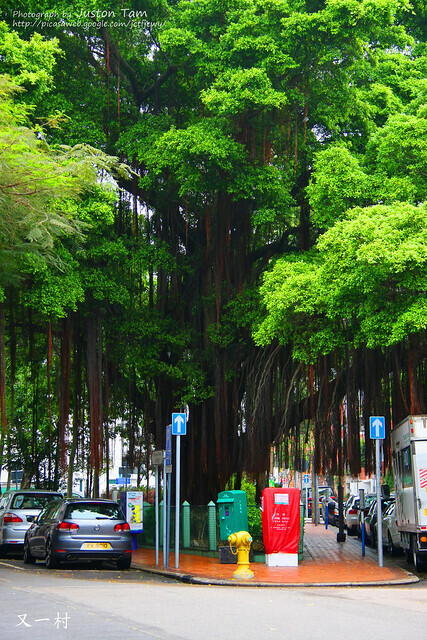 We have referred your request to the Hong Kong Post for follow up and they will contact you direct. 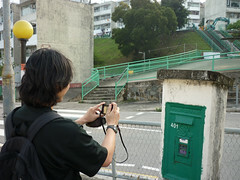 Thanks again for your concern on heritage conservation.